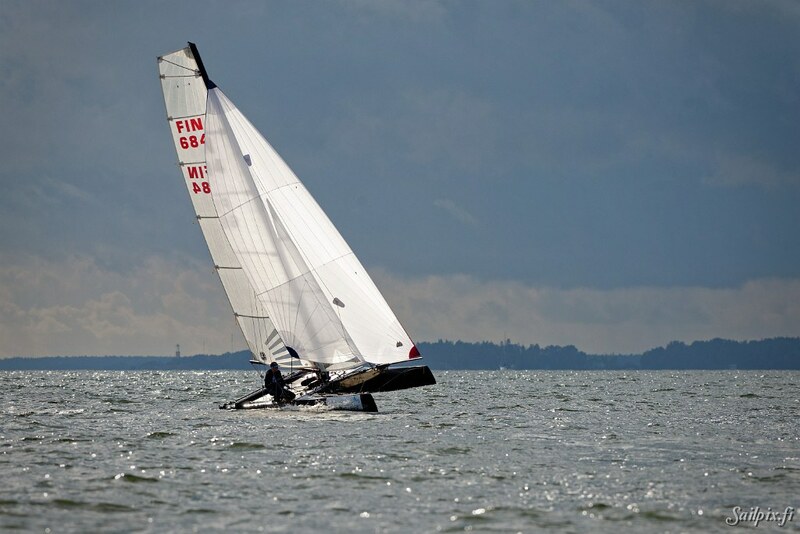 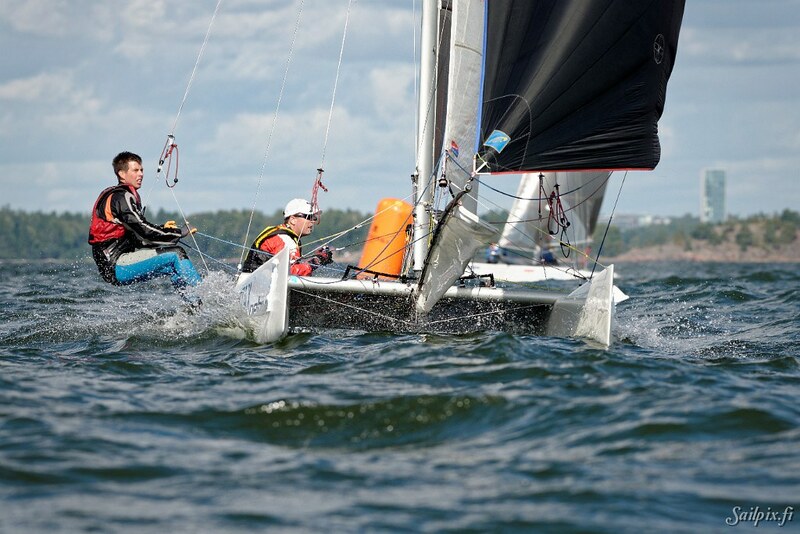 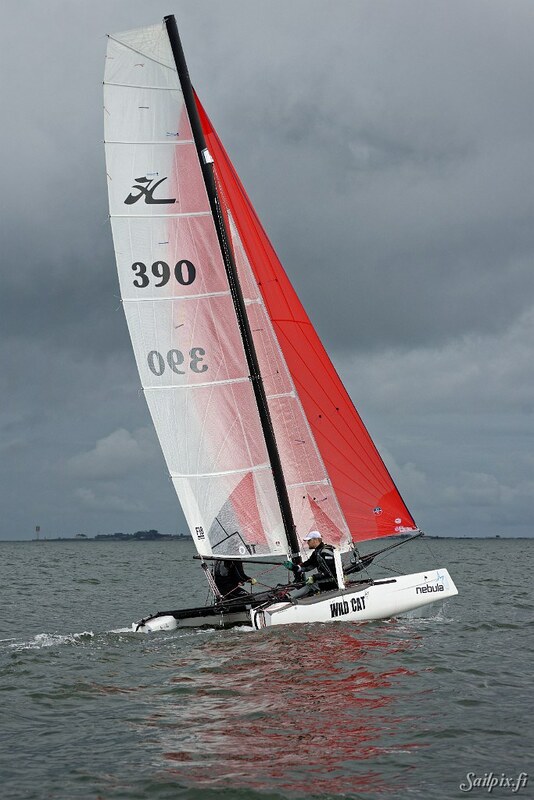 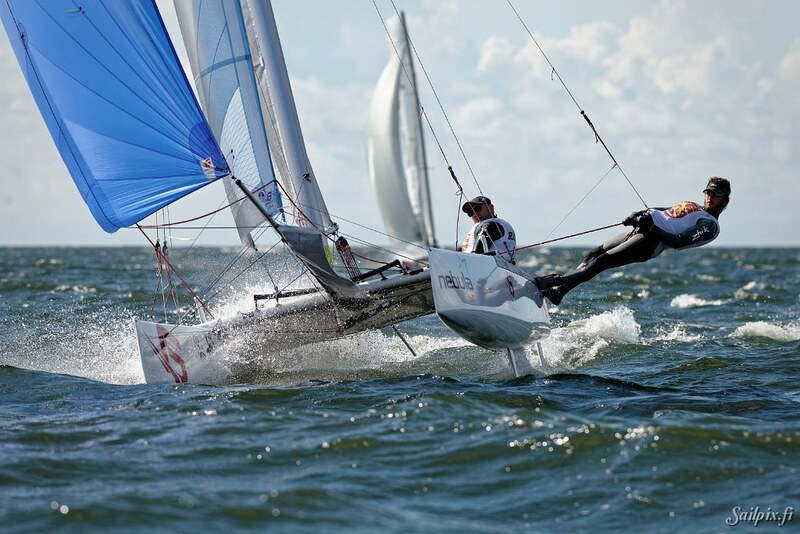 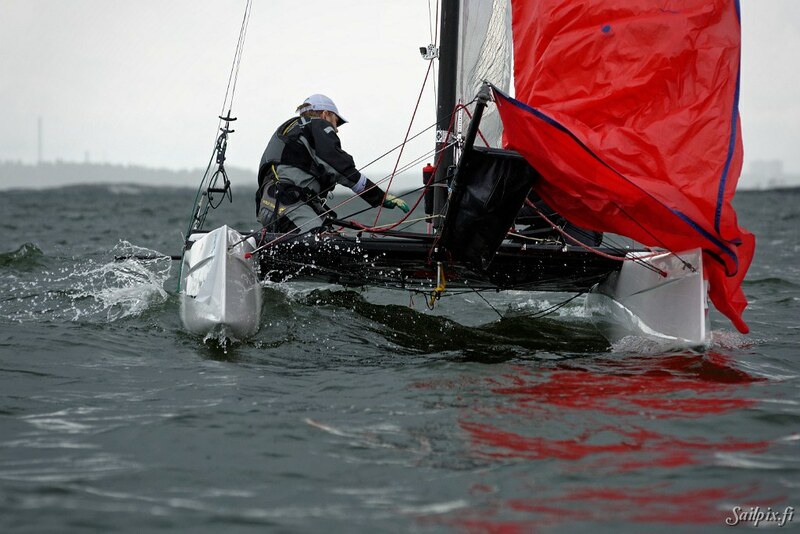 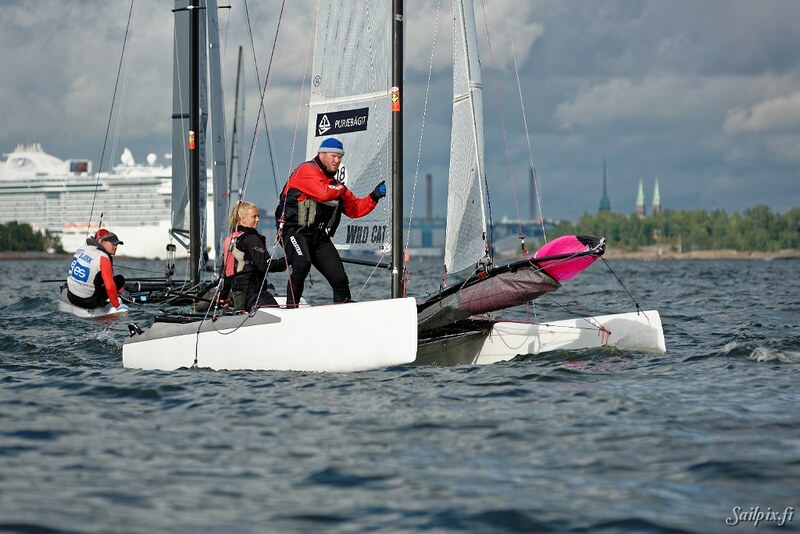 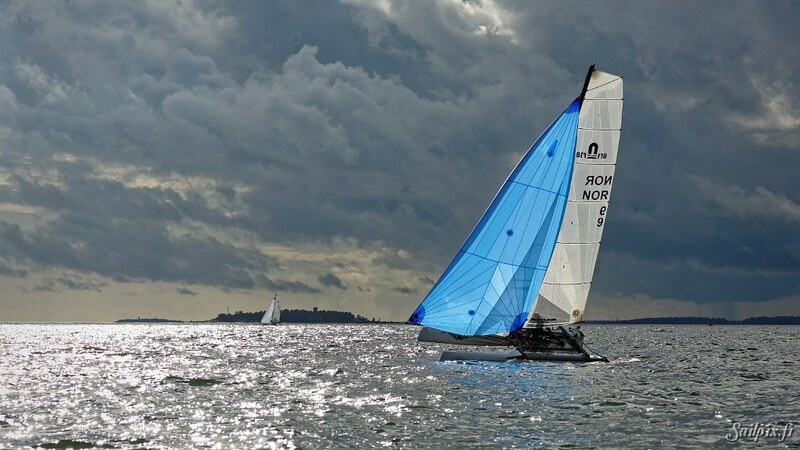 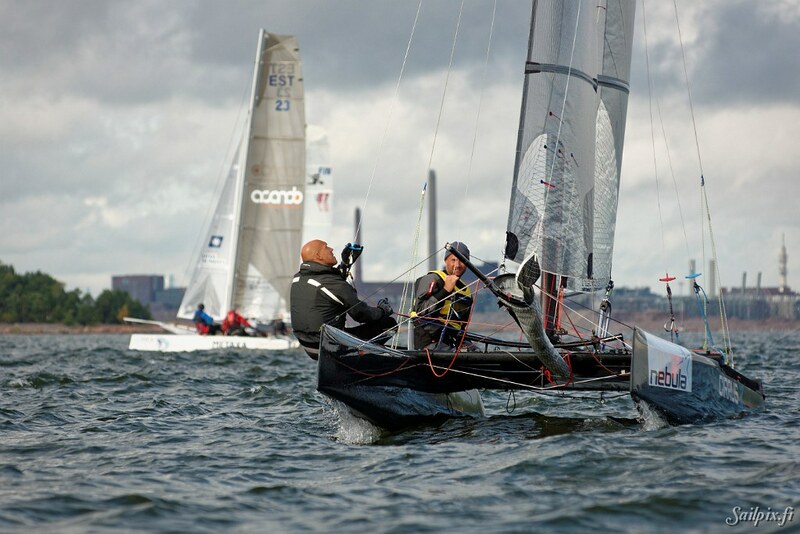 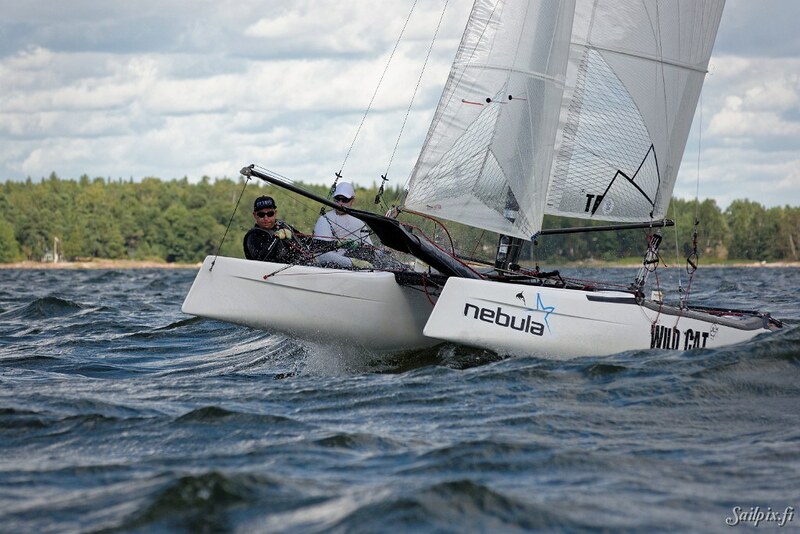 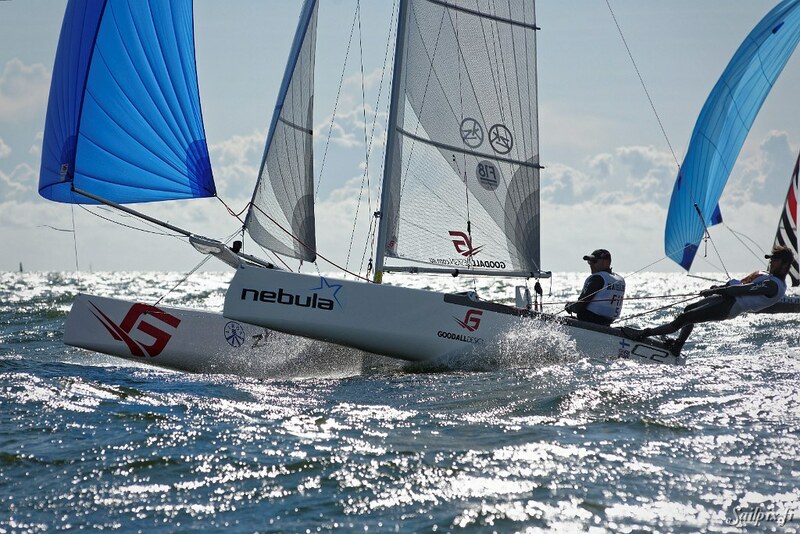 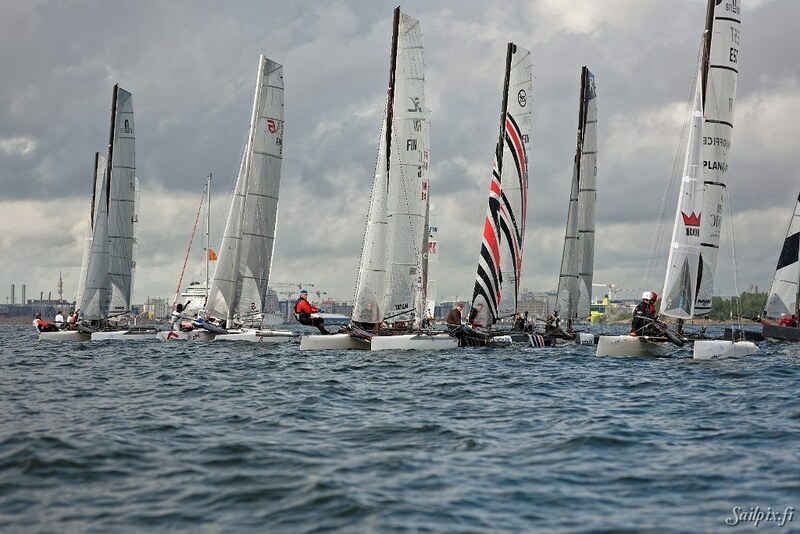 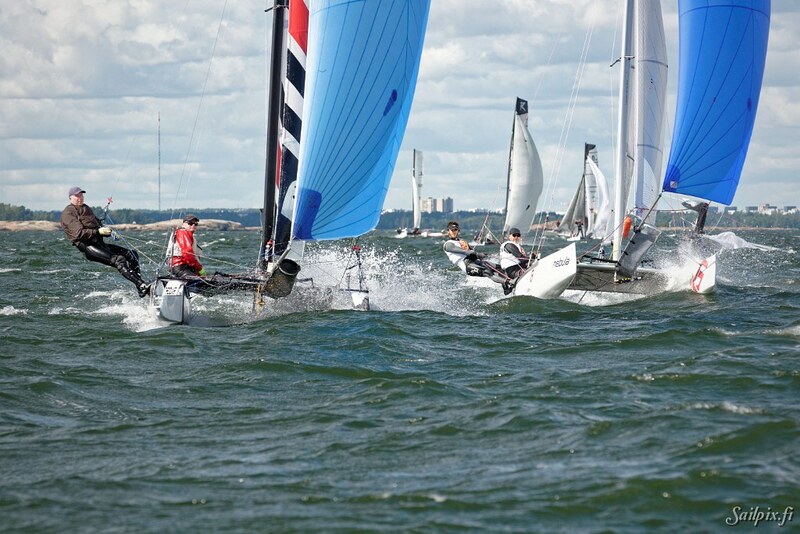 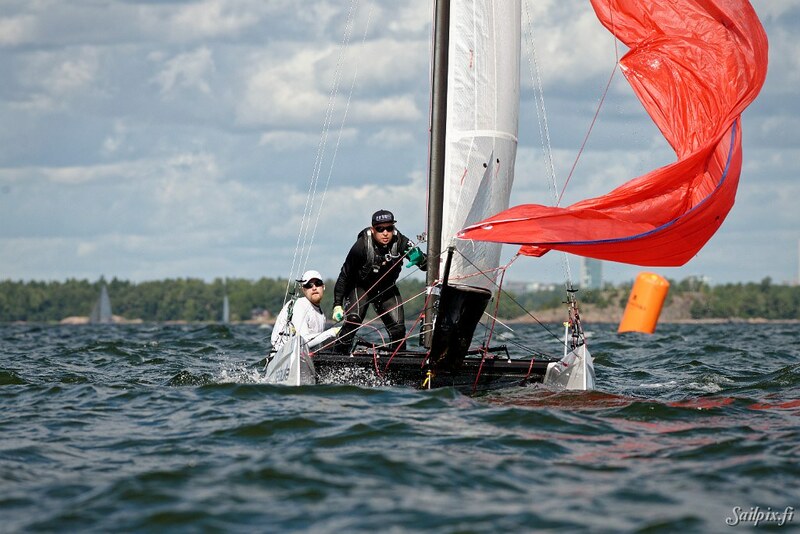 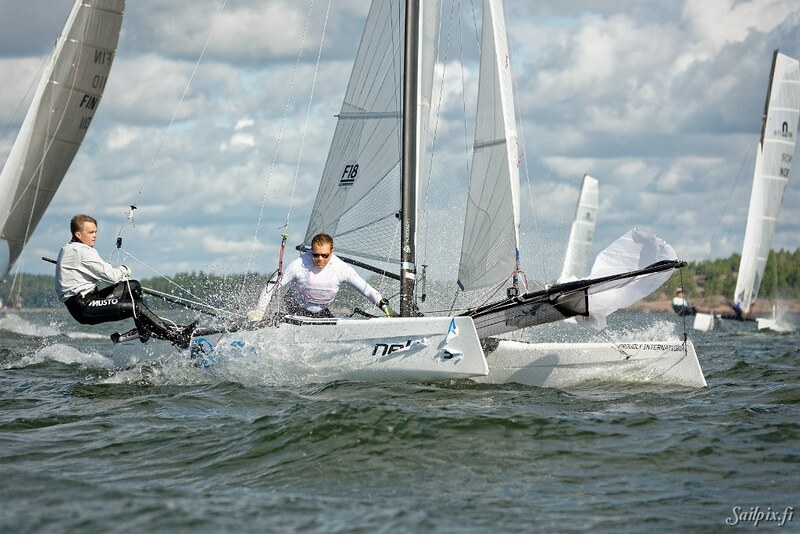 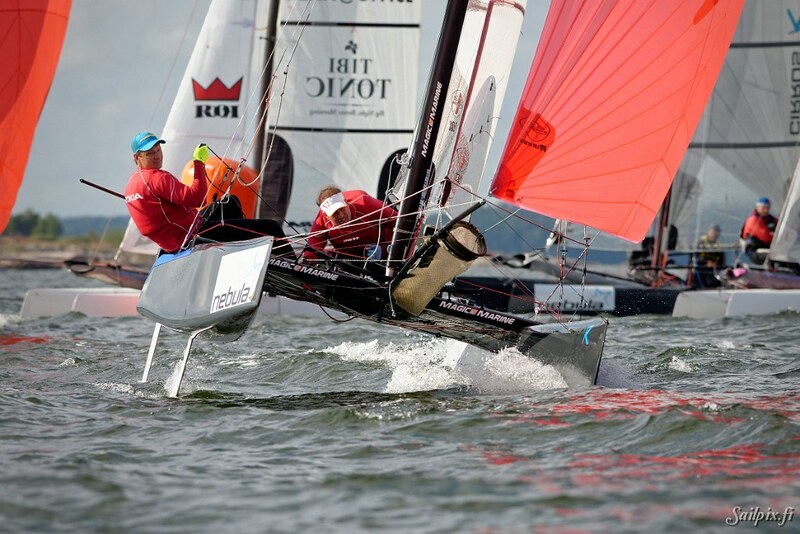 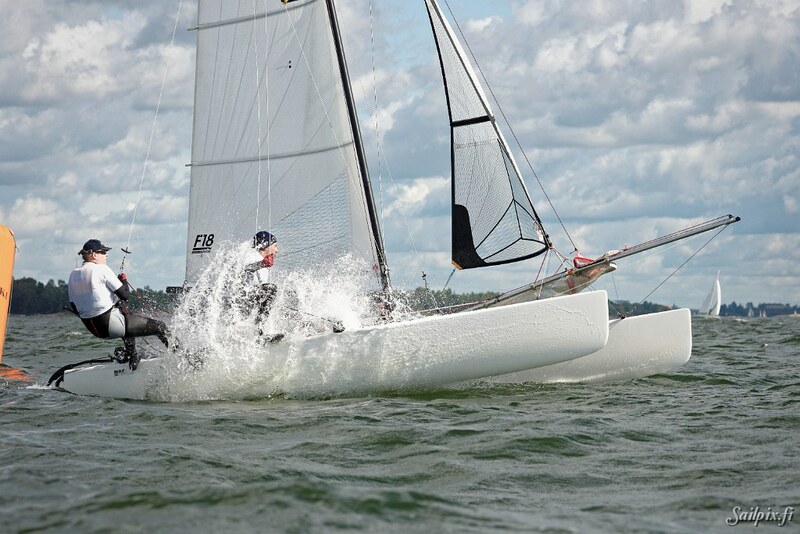 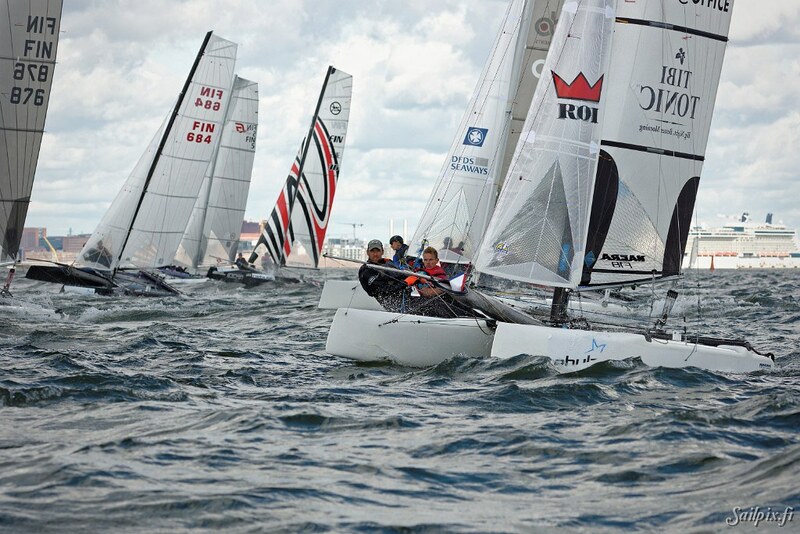 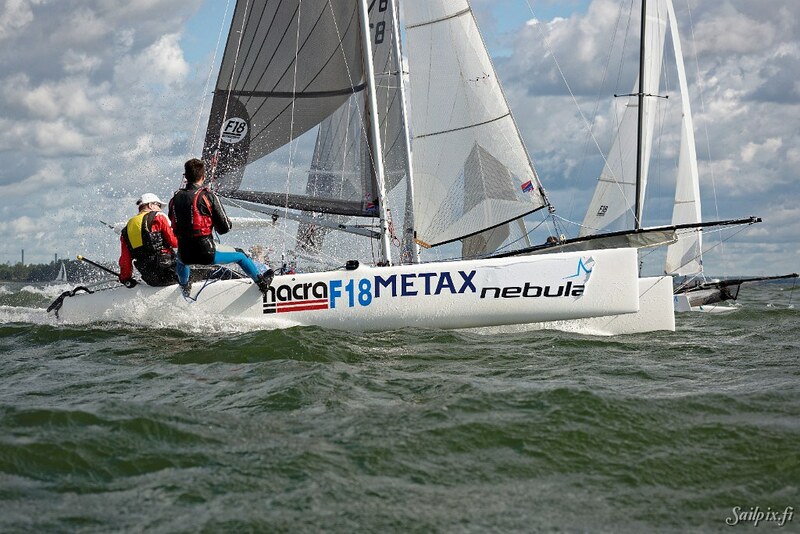 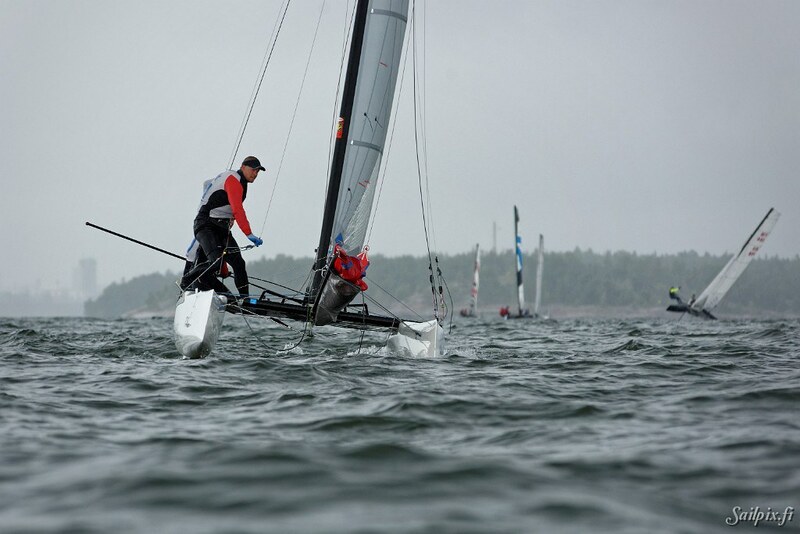 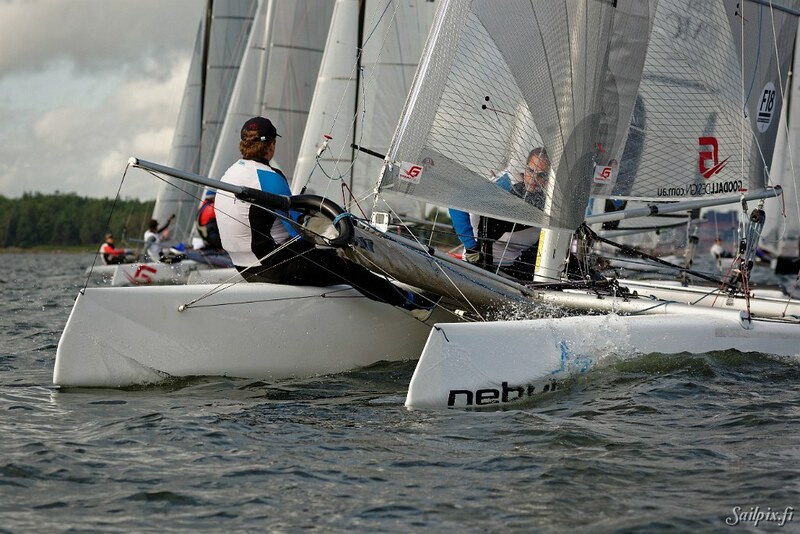 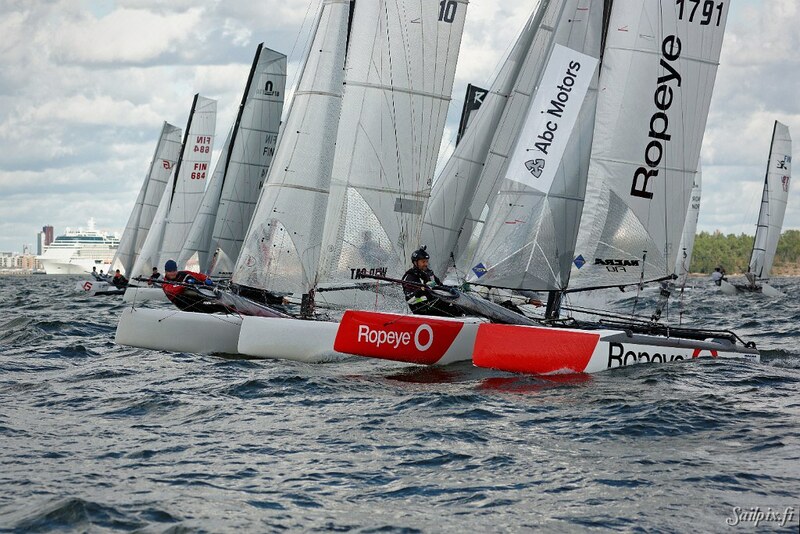 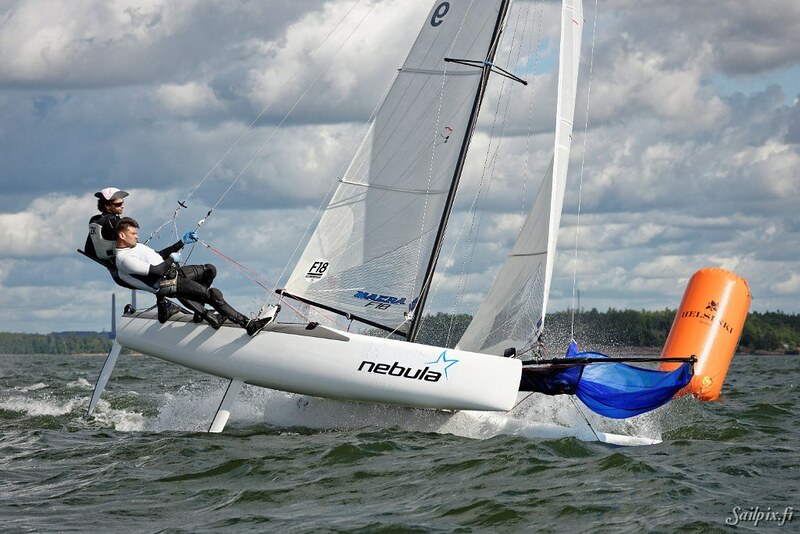 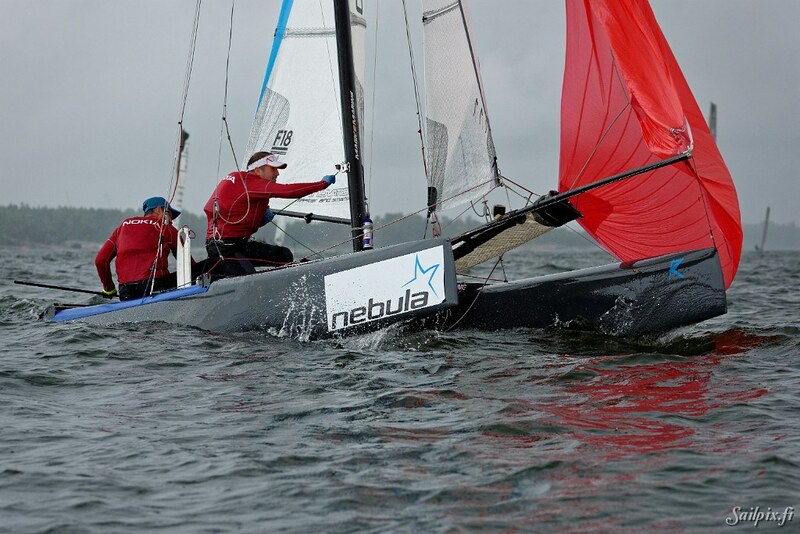 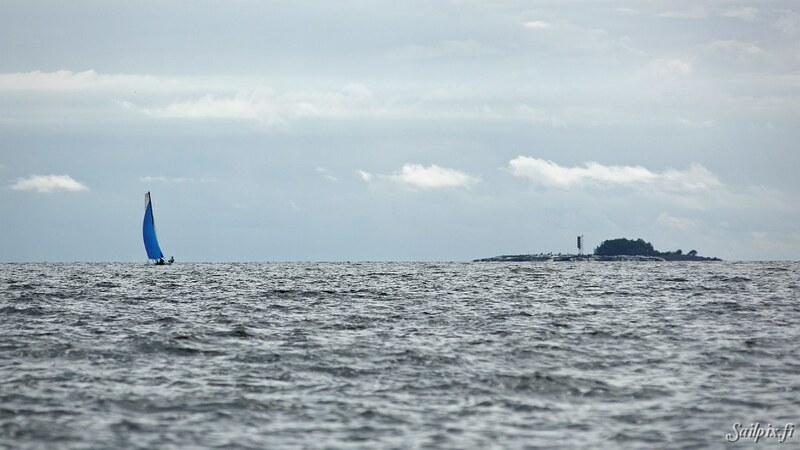 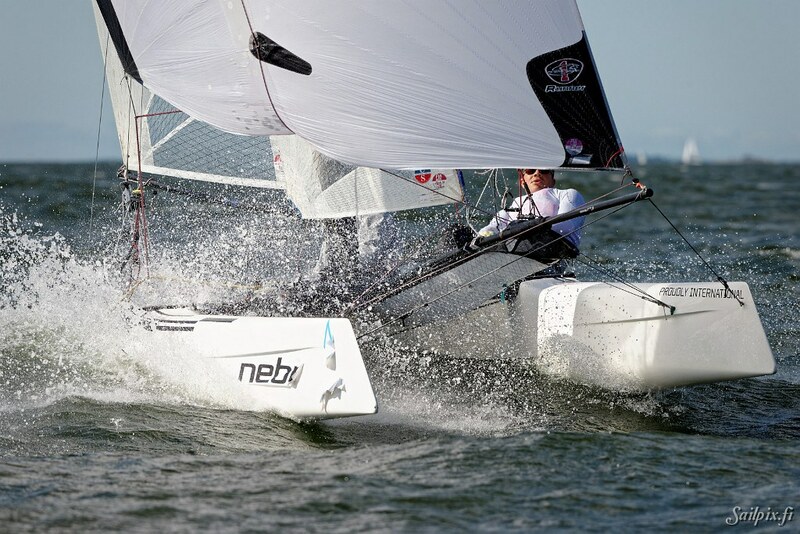 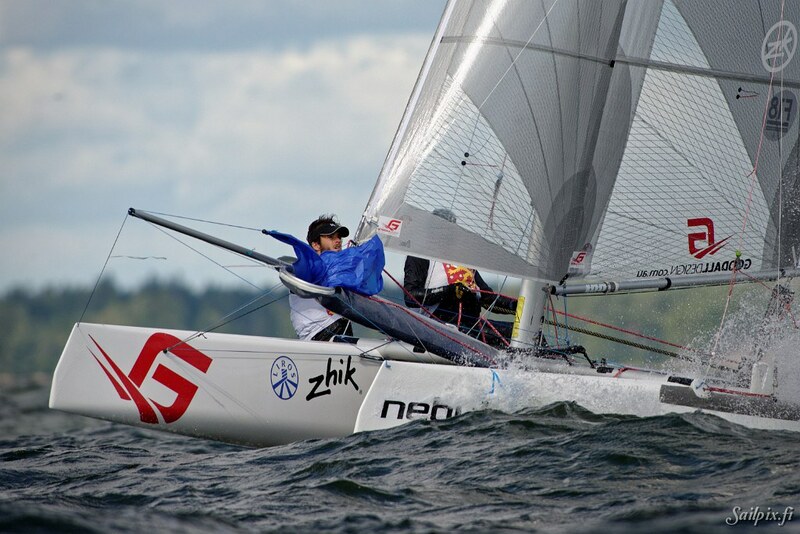 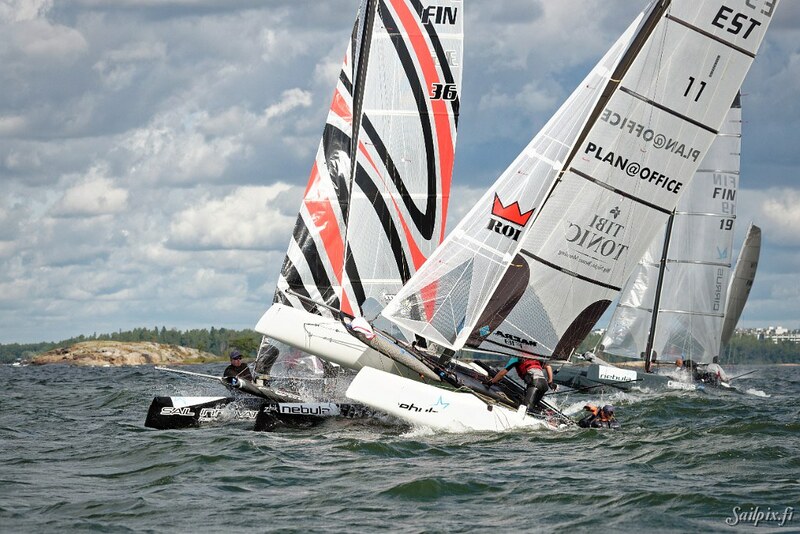 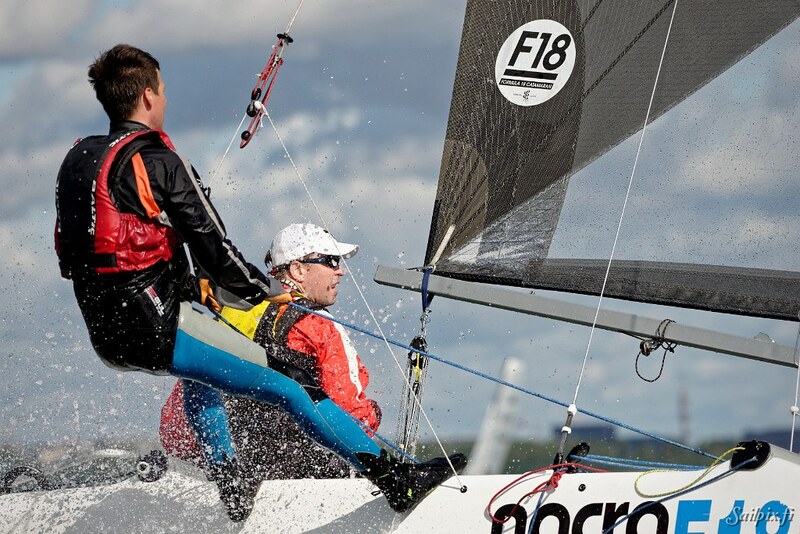 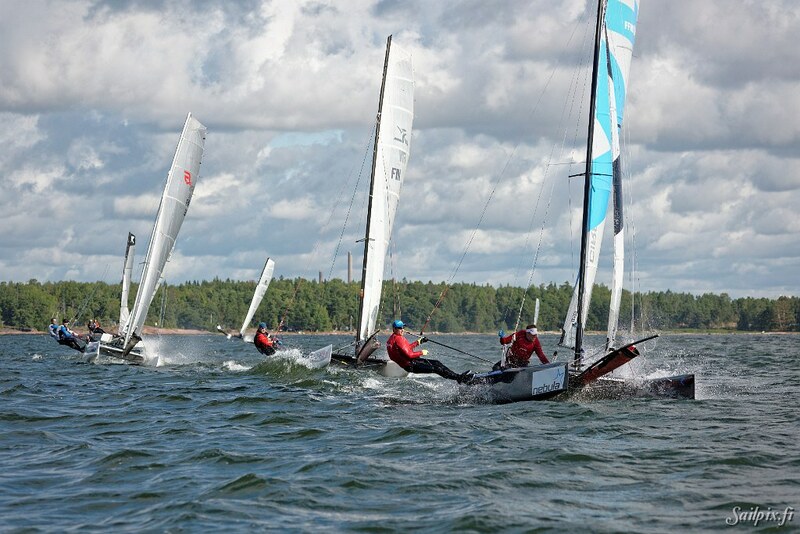 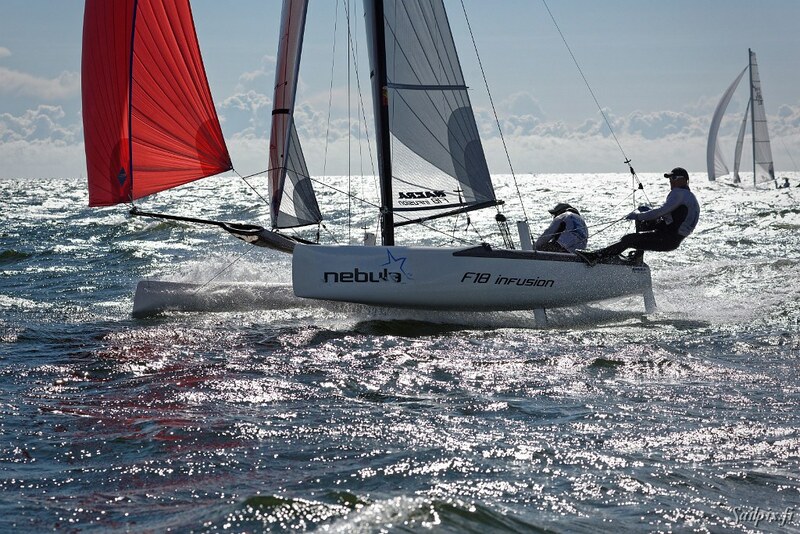 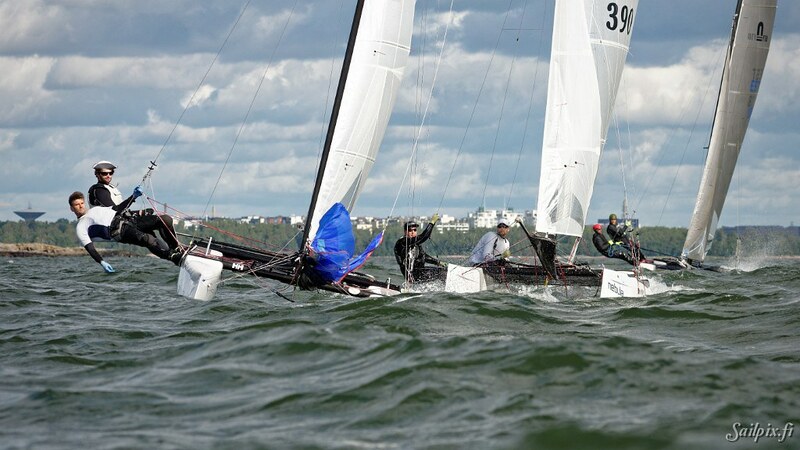 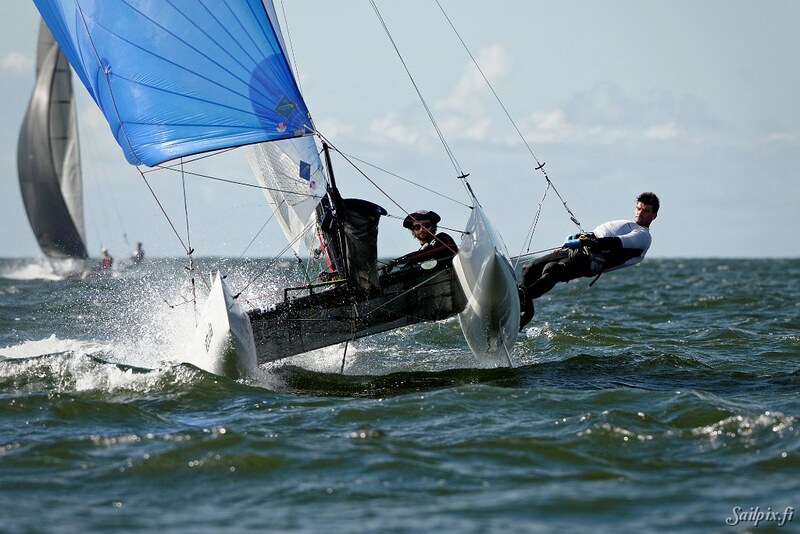 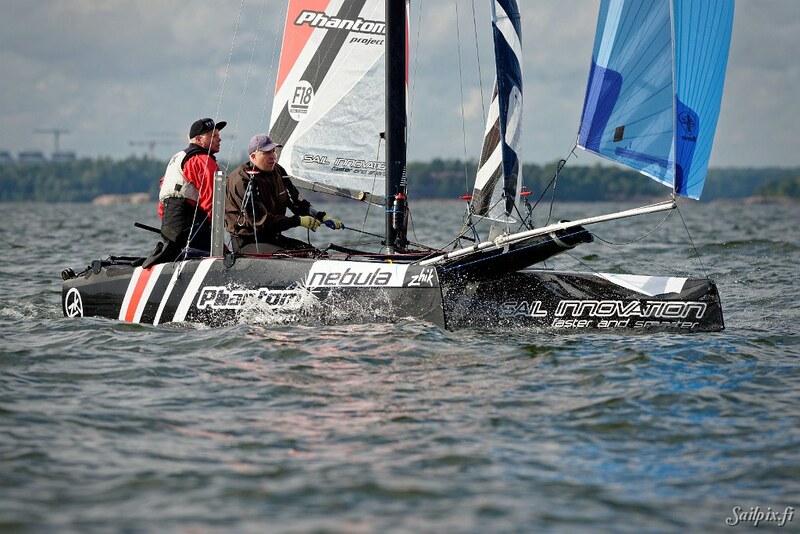 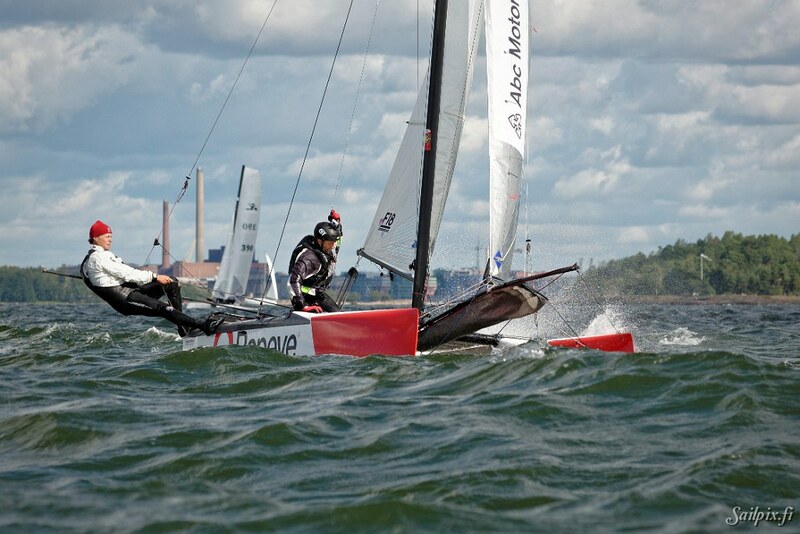 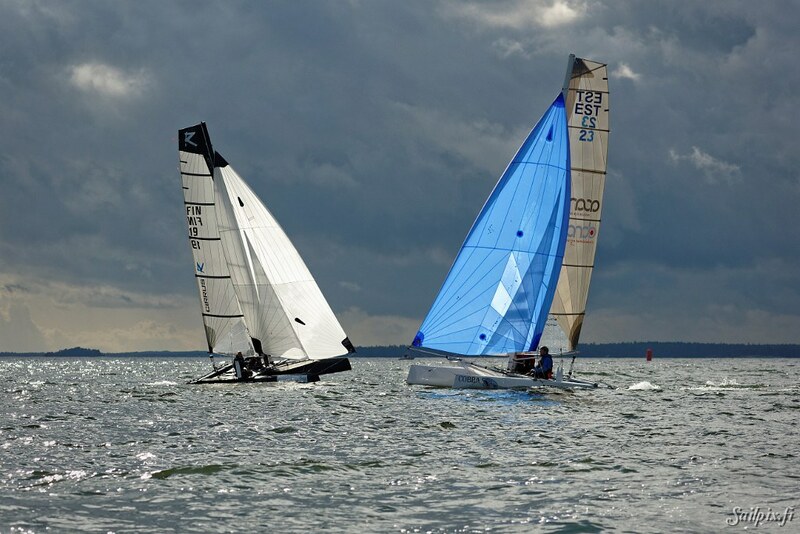 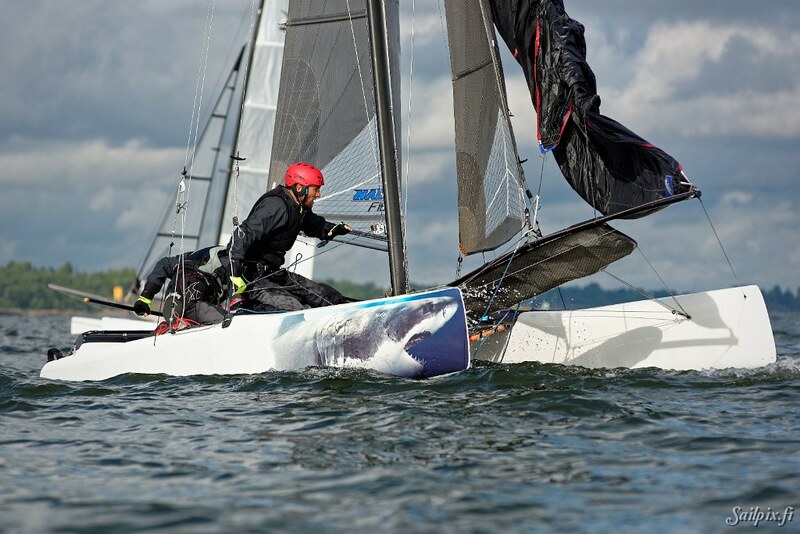 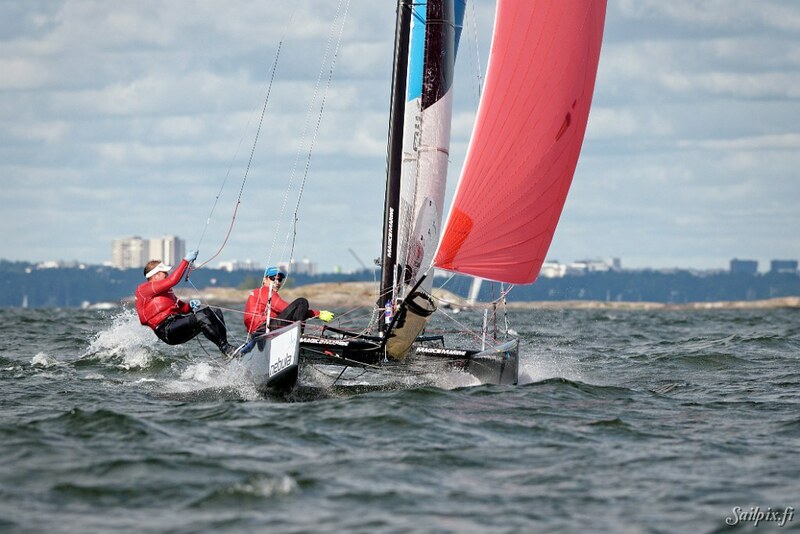 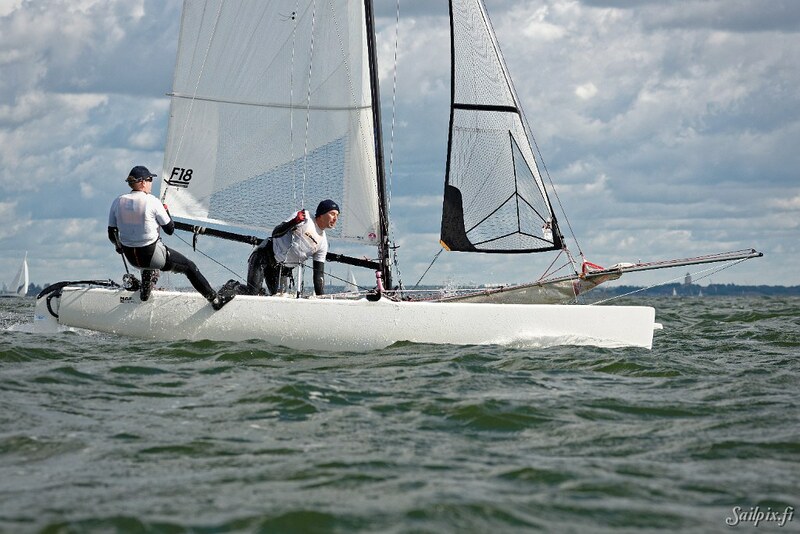 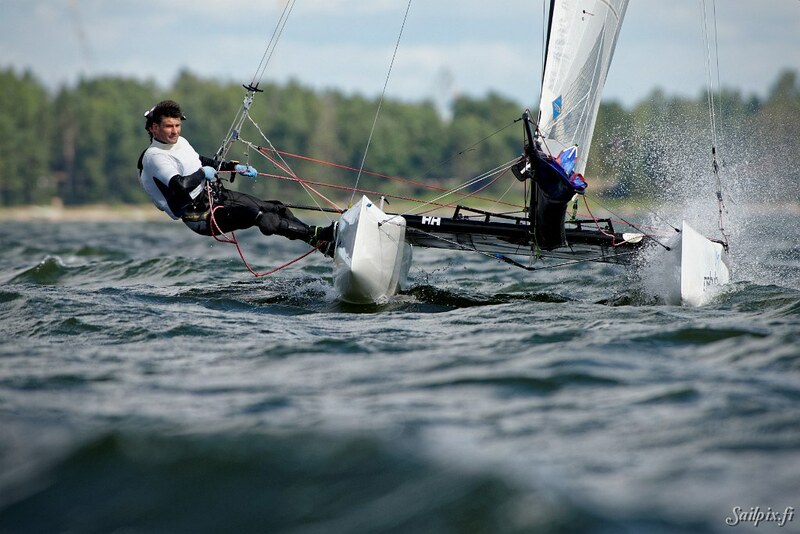 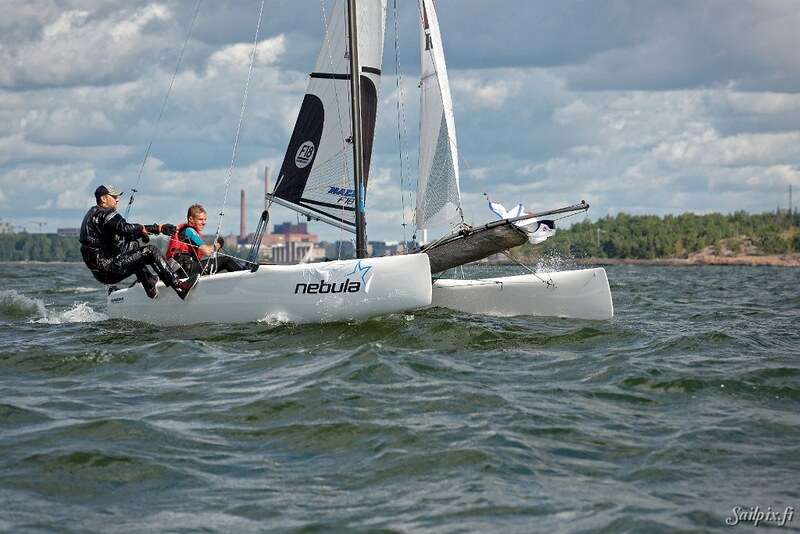 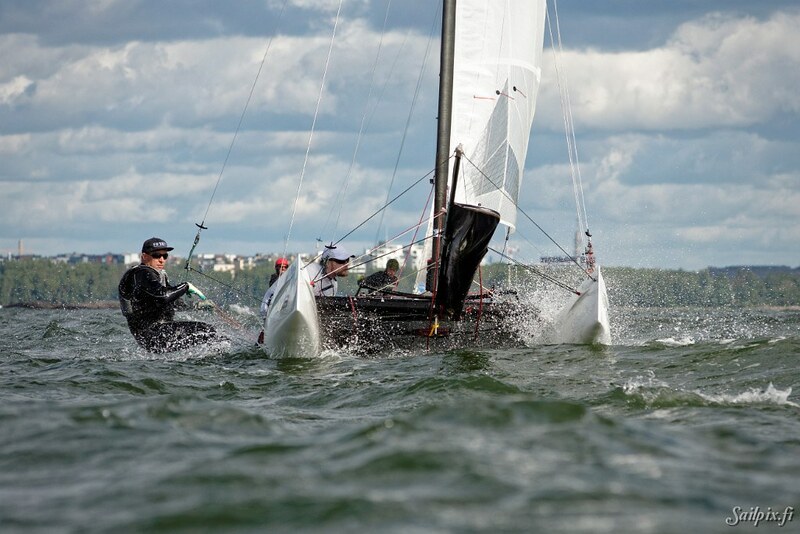 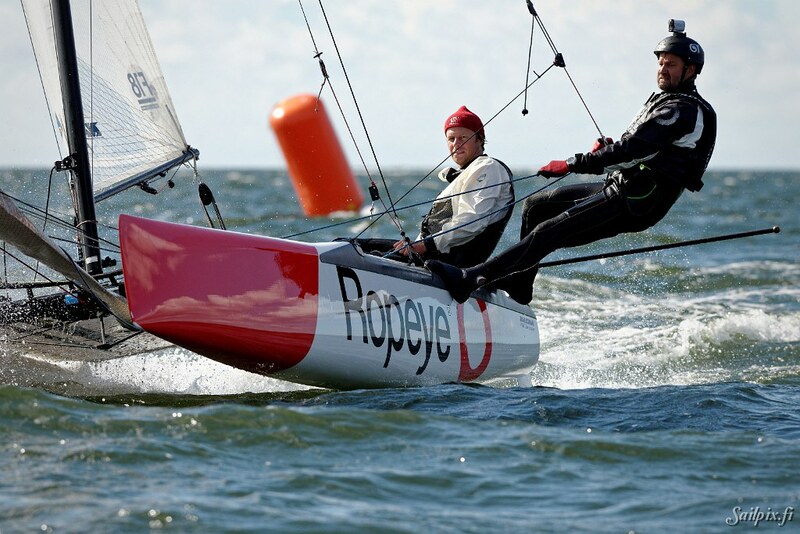 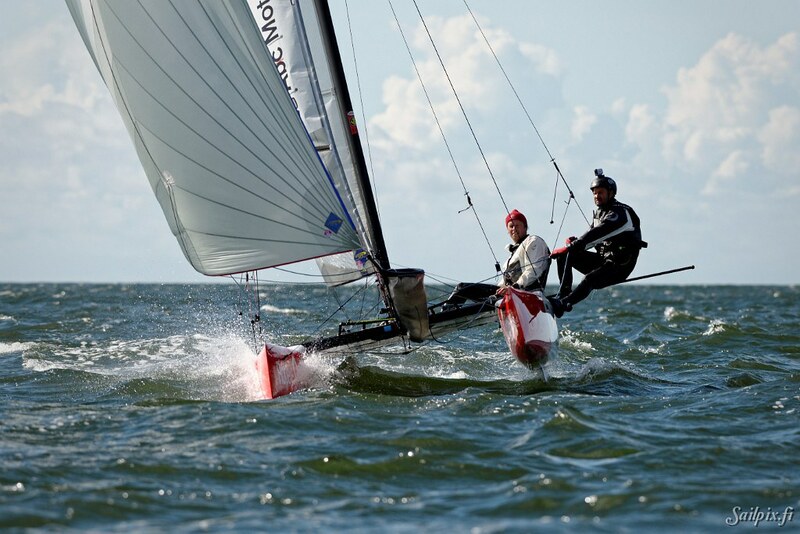 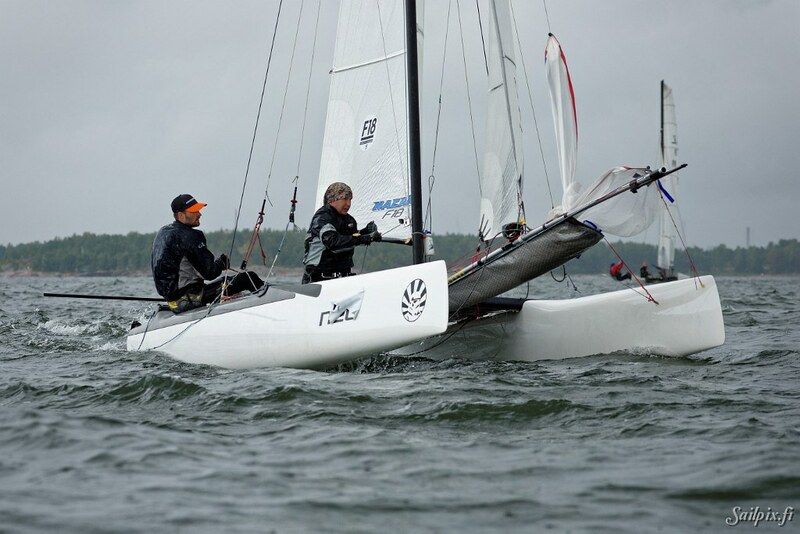 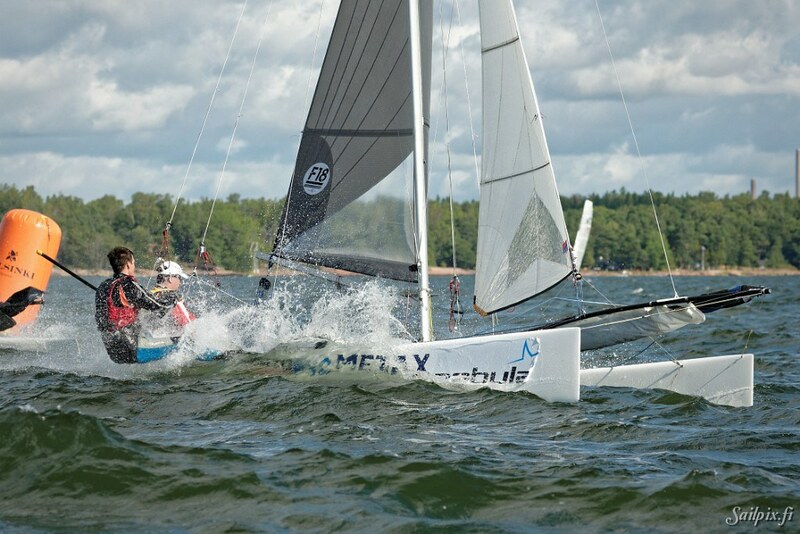 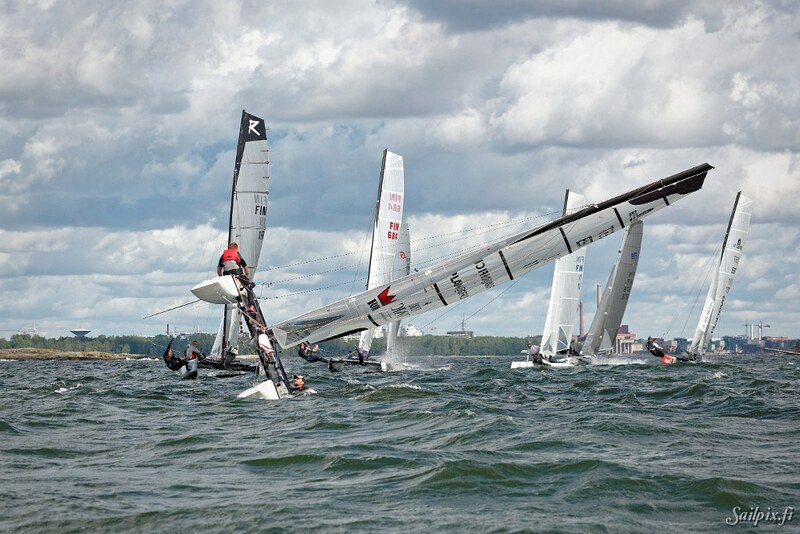 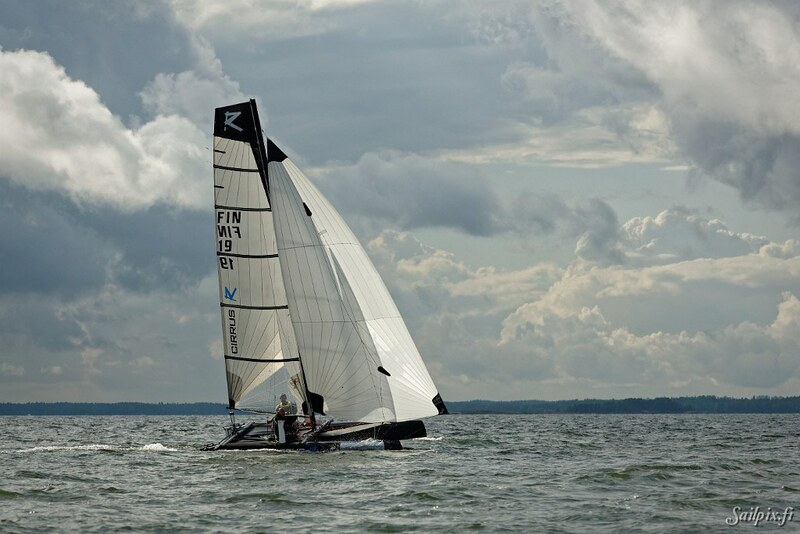 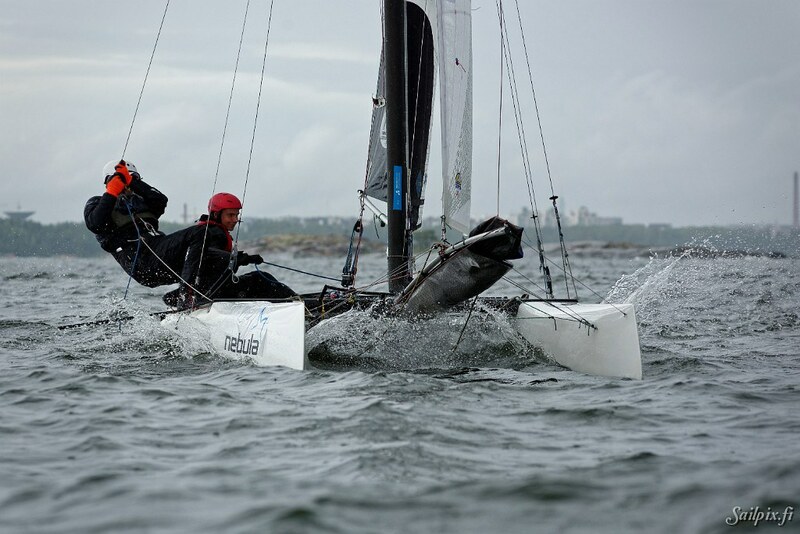 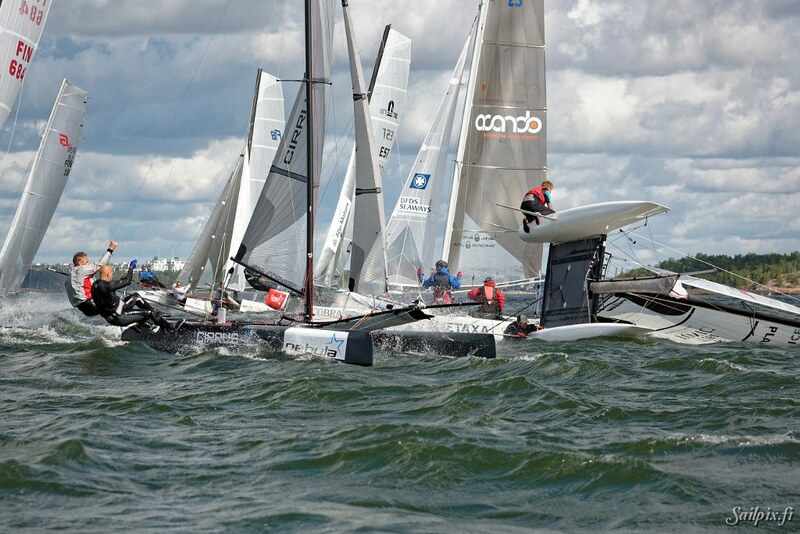 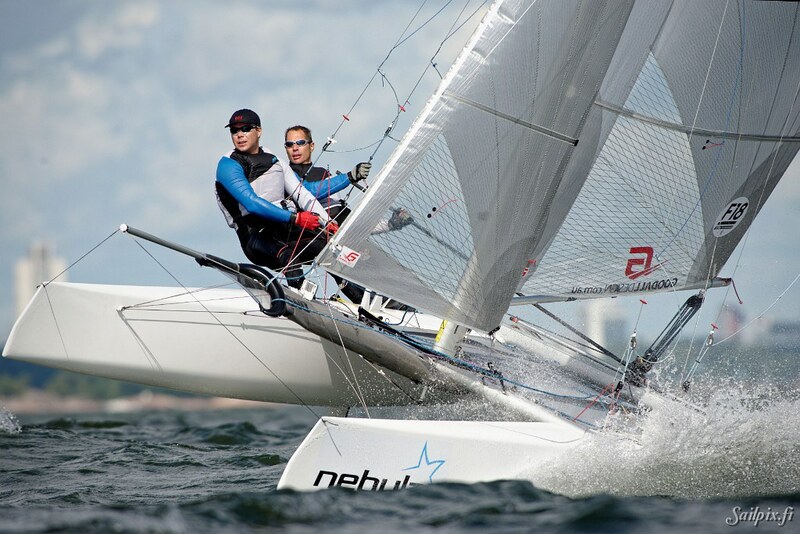 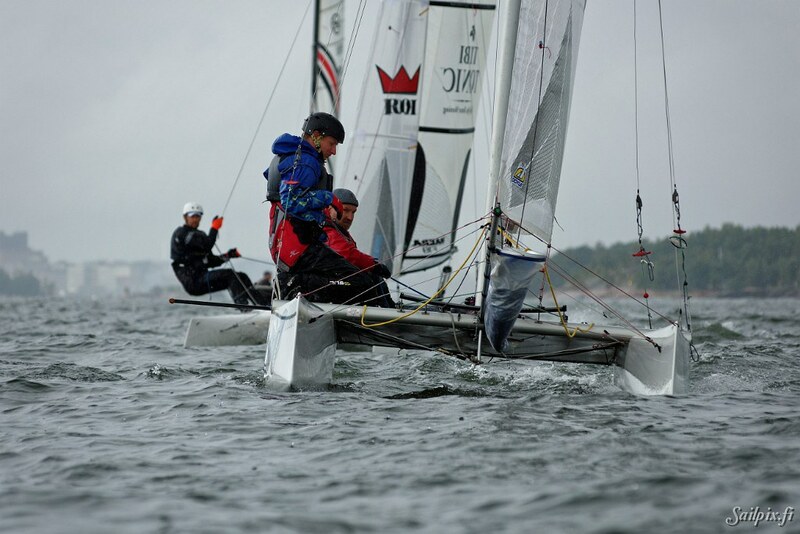 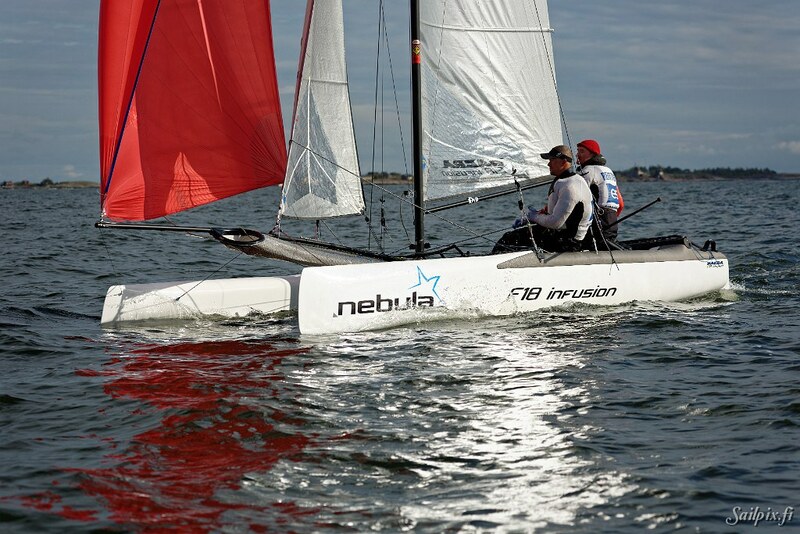 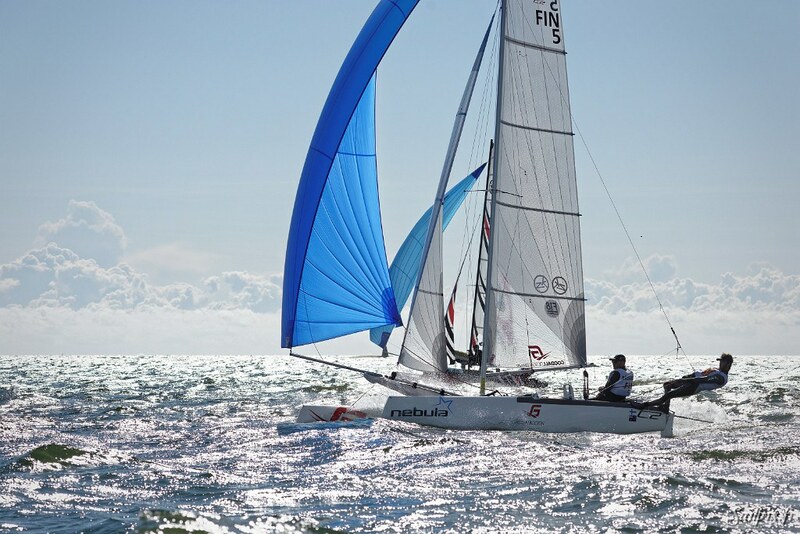 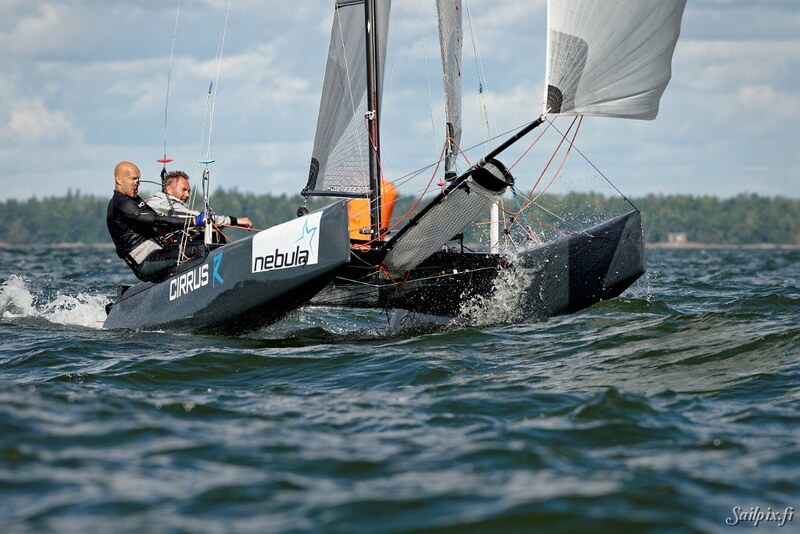 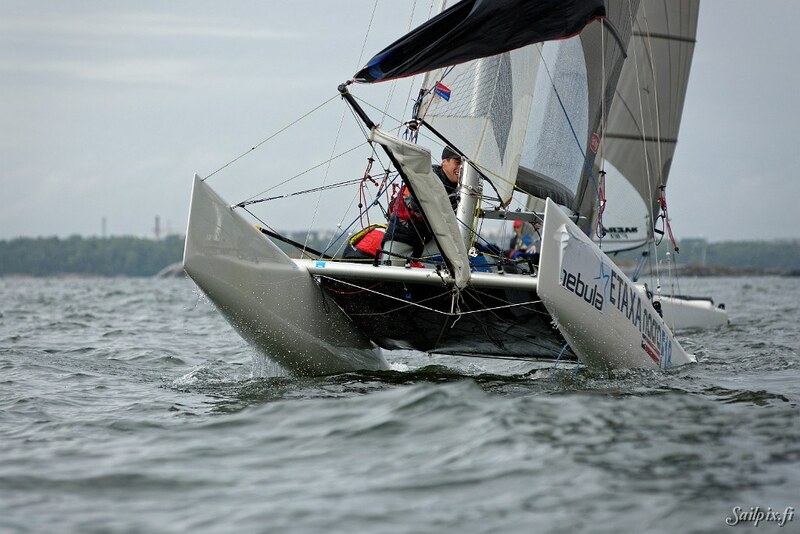 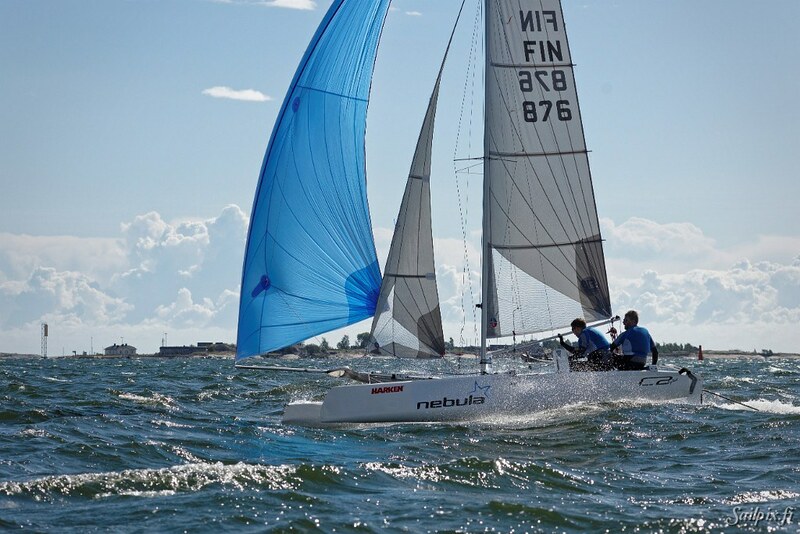 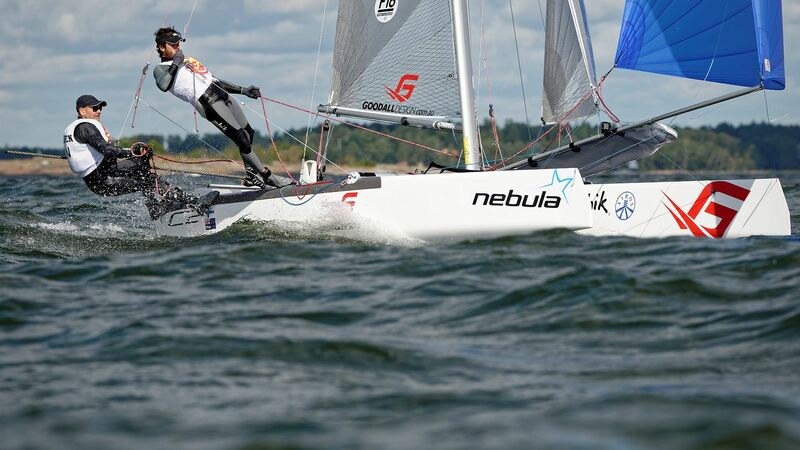 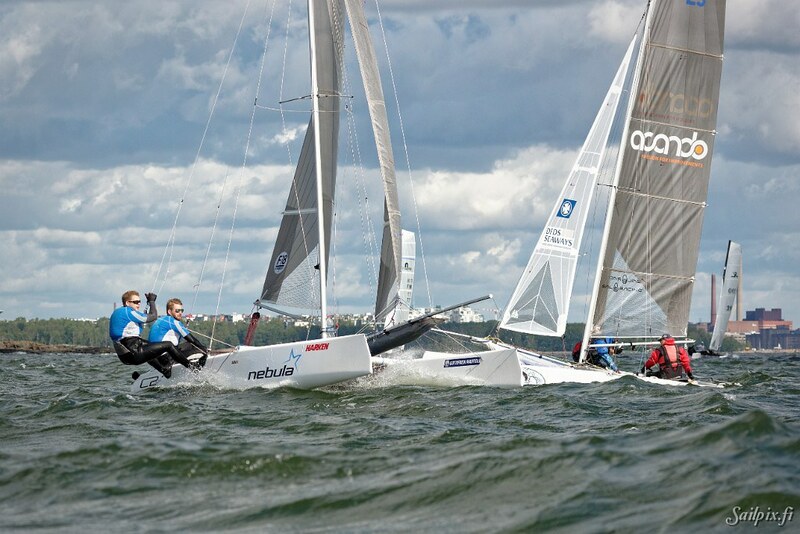 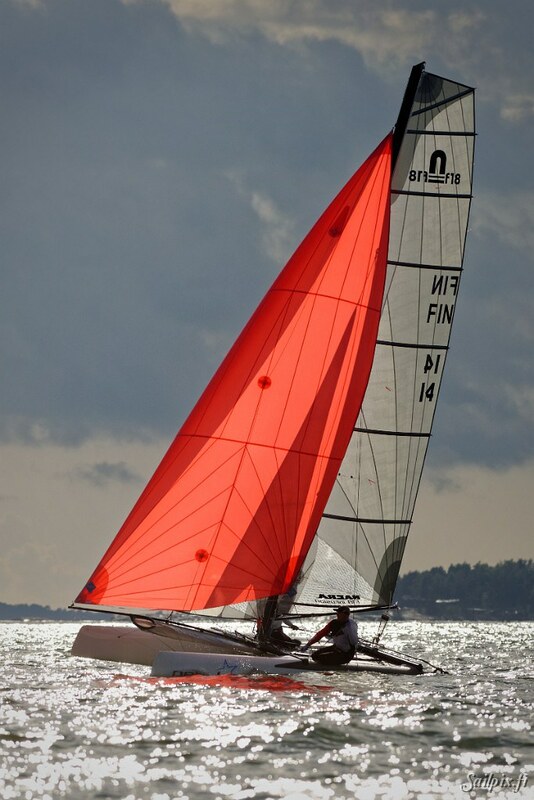 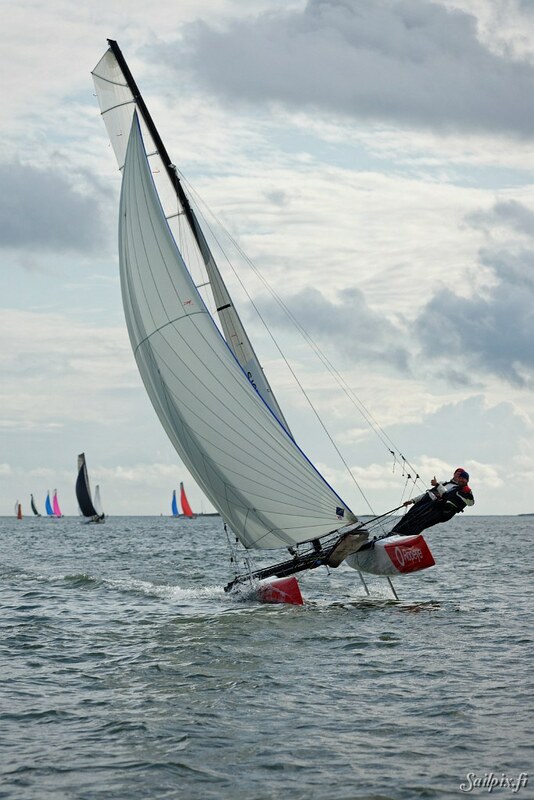 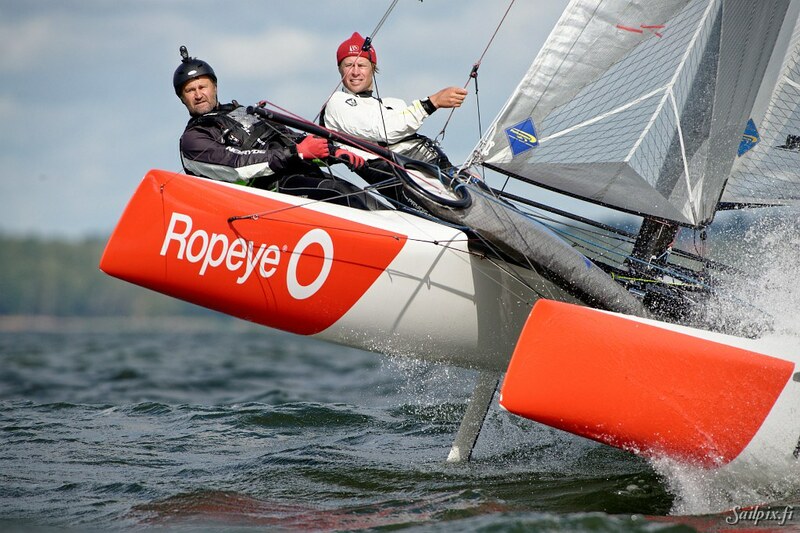 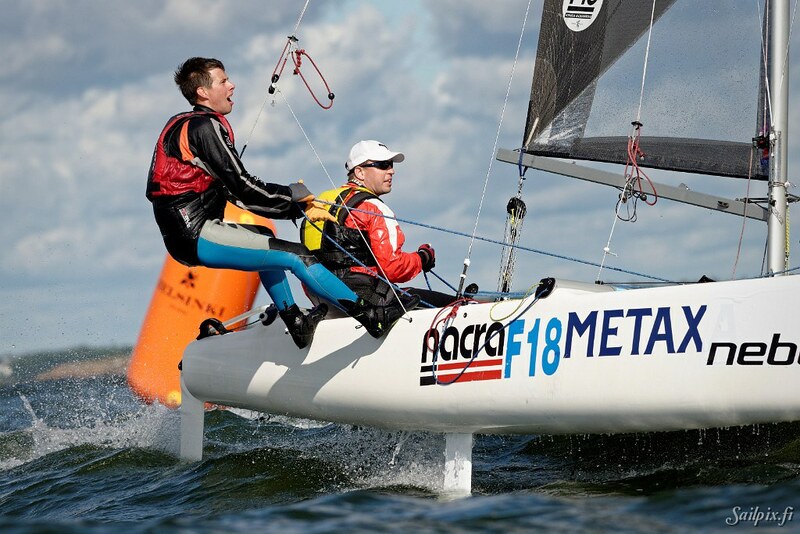 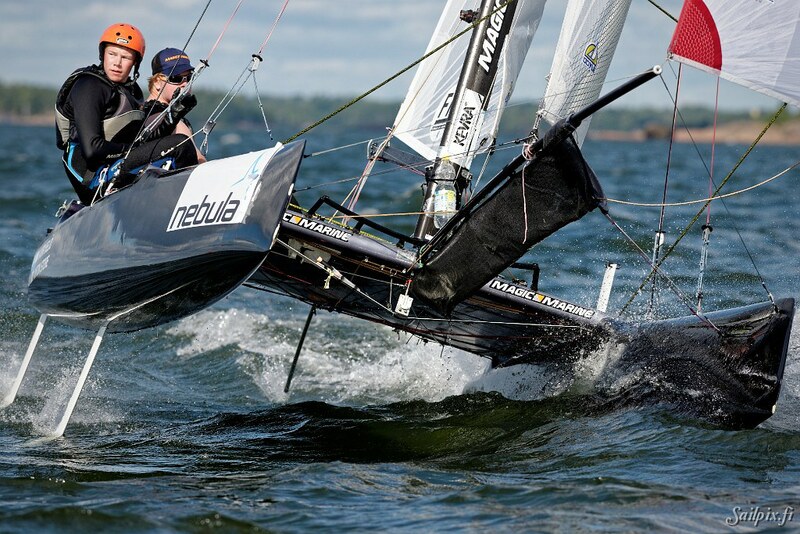 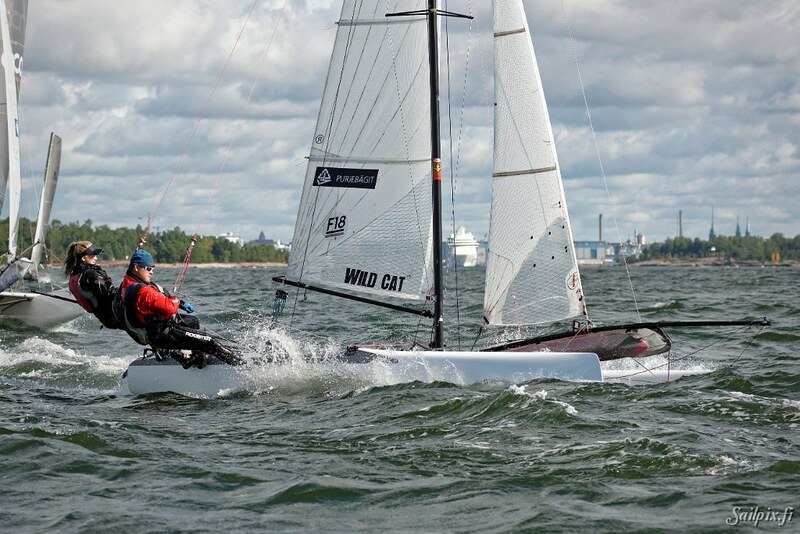 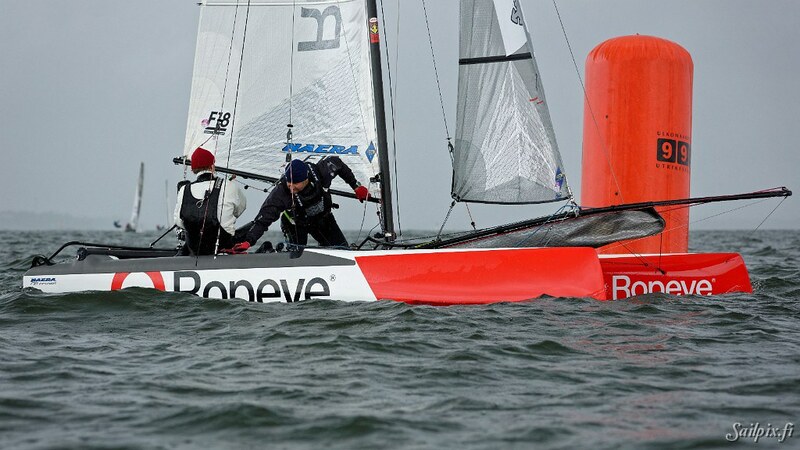 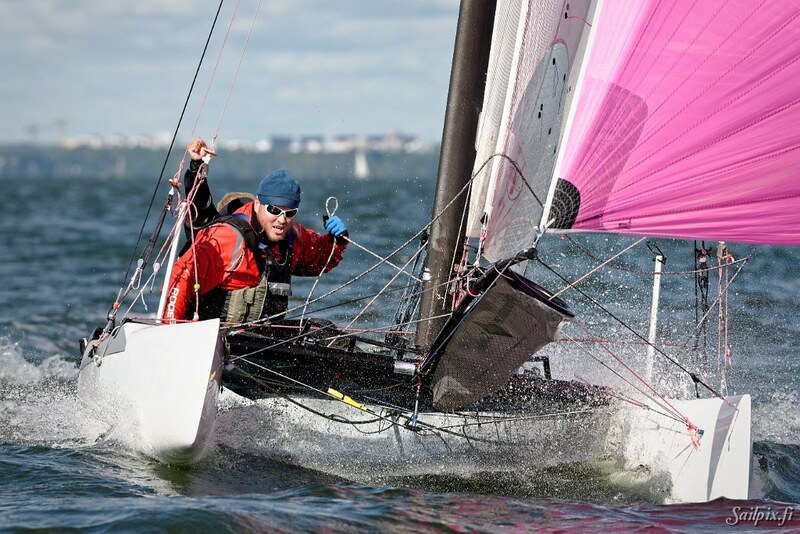 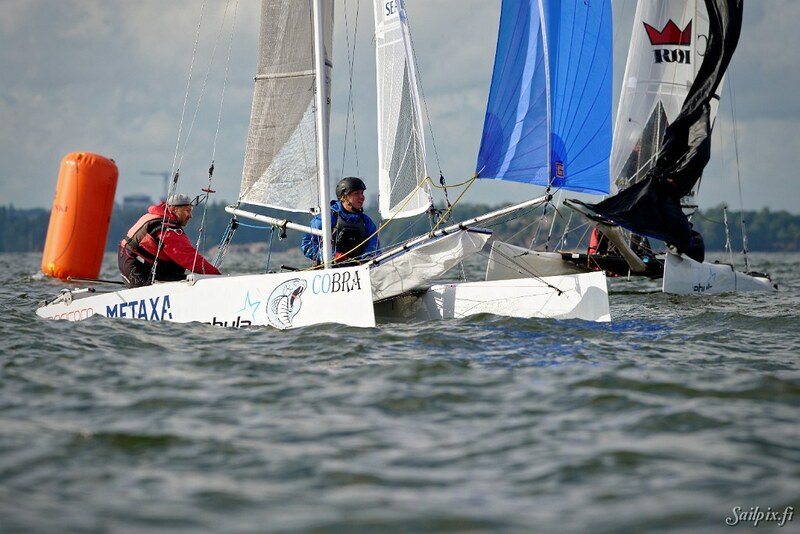 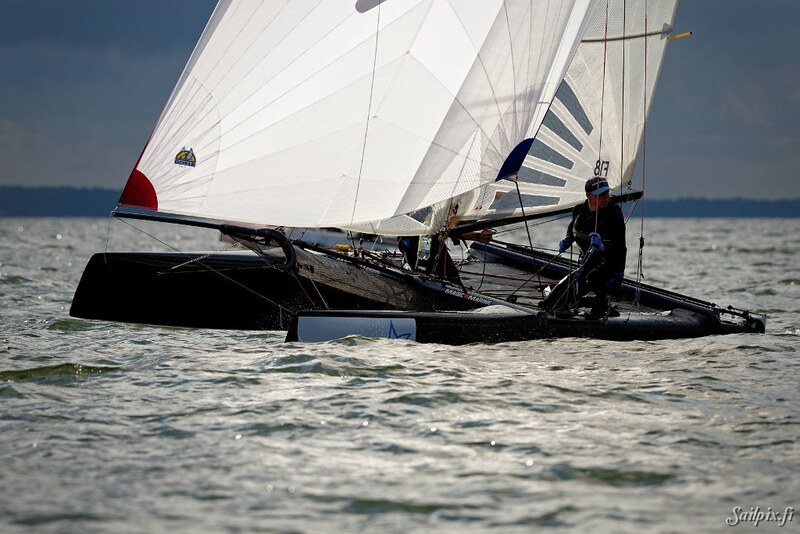 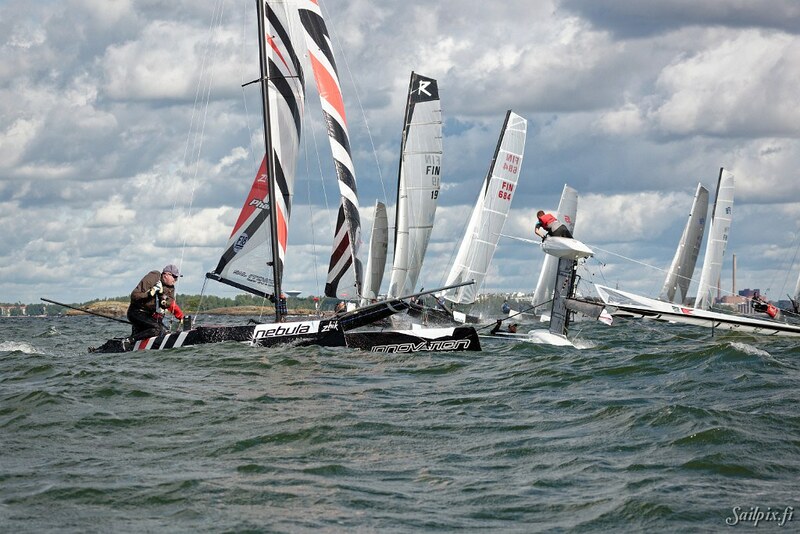 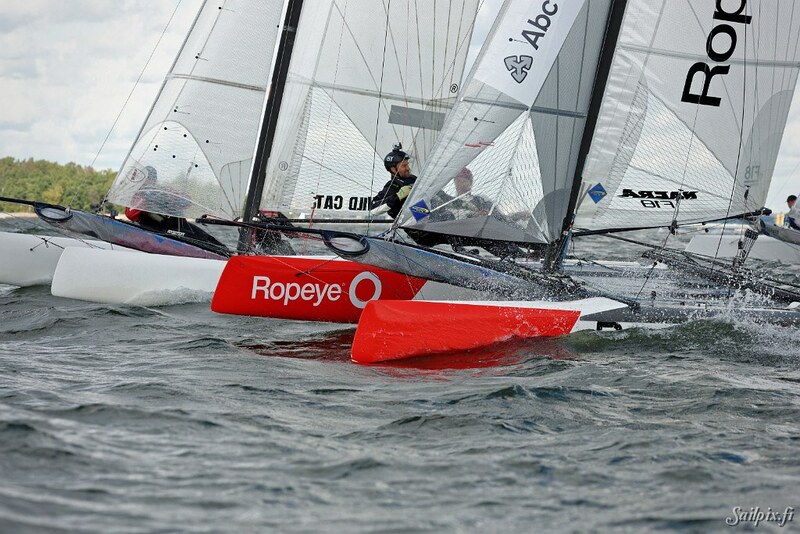 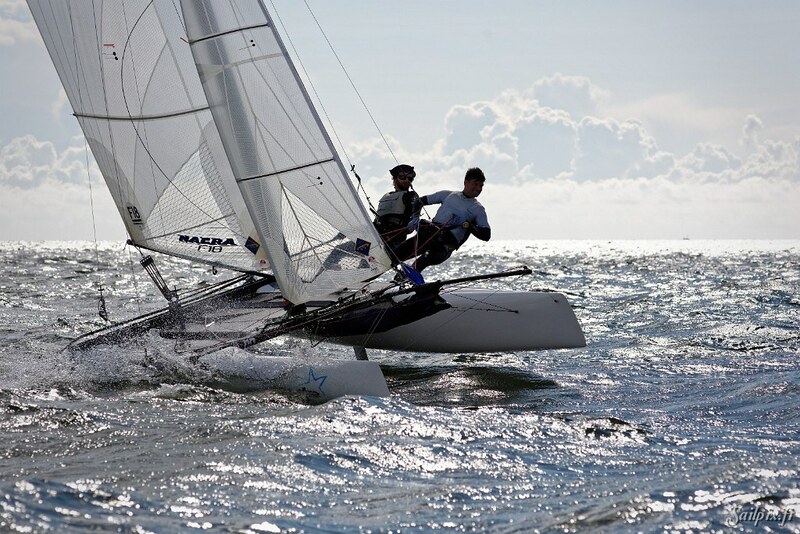 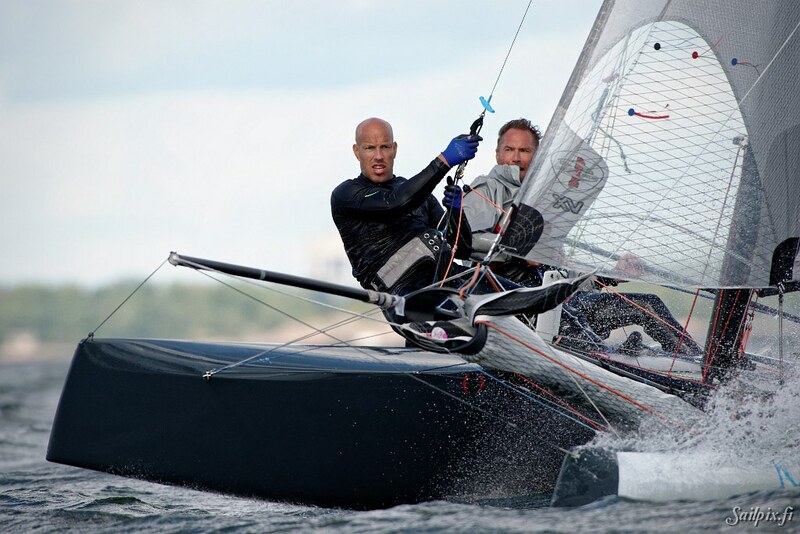 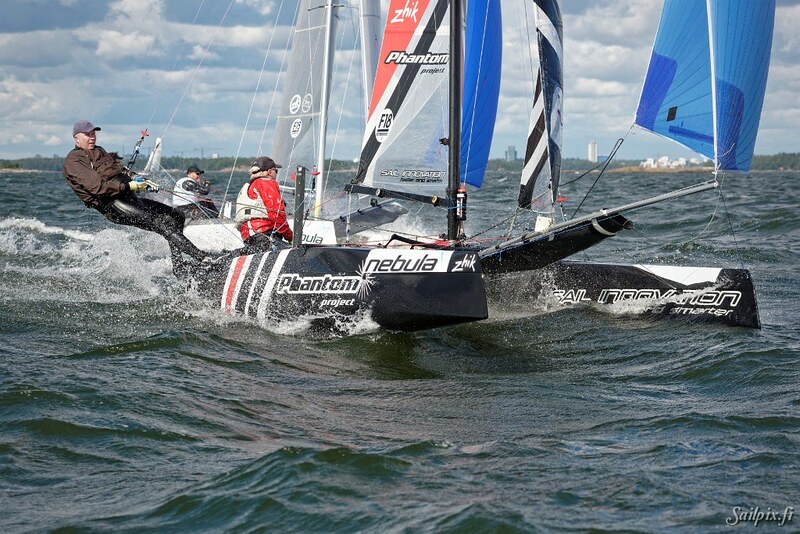 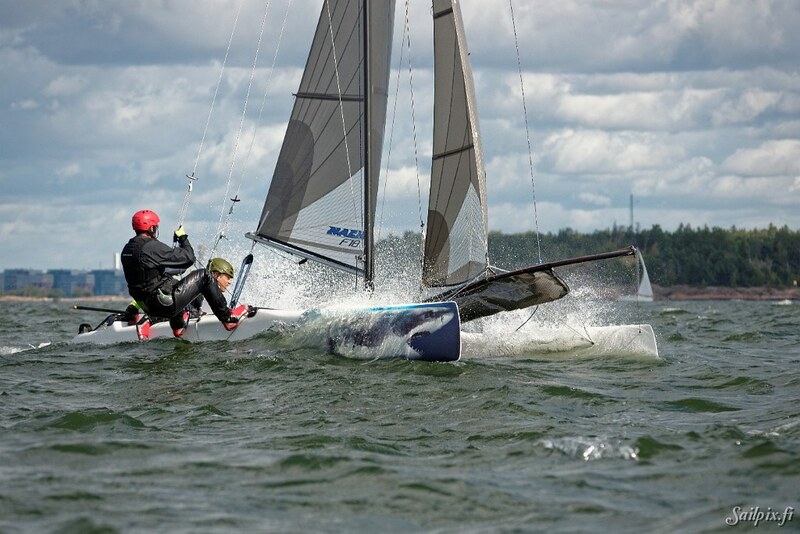 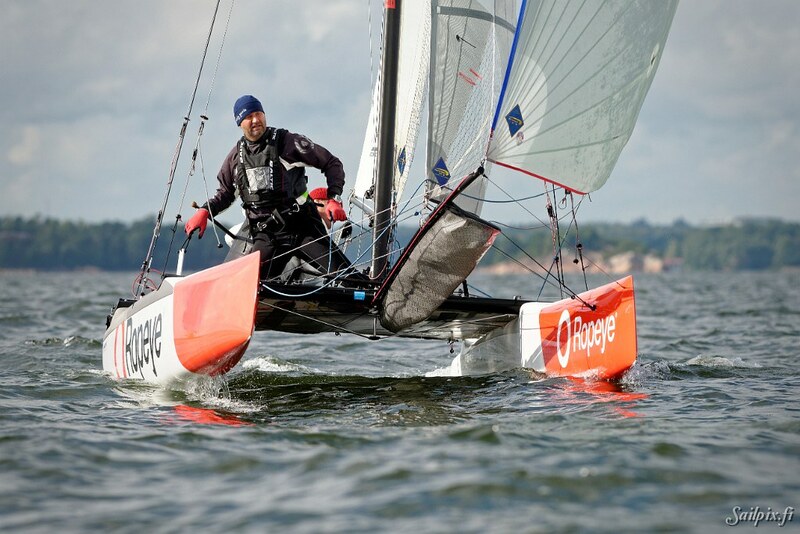 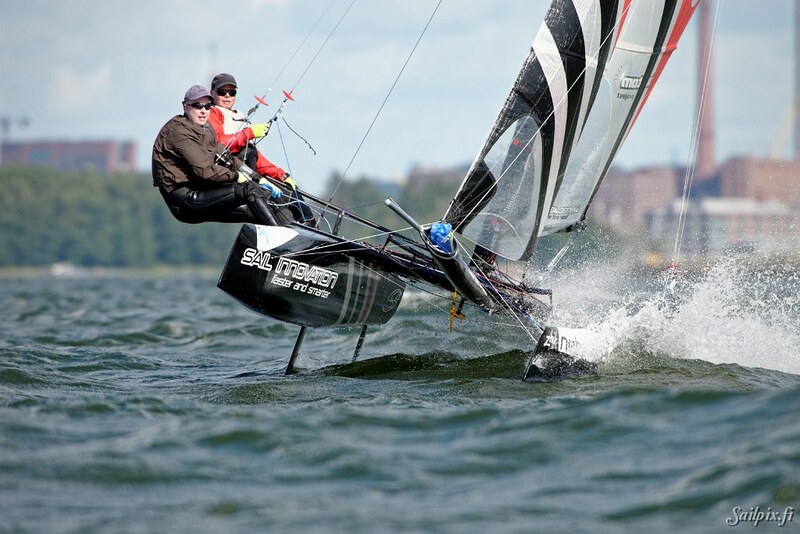 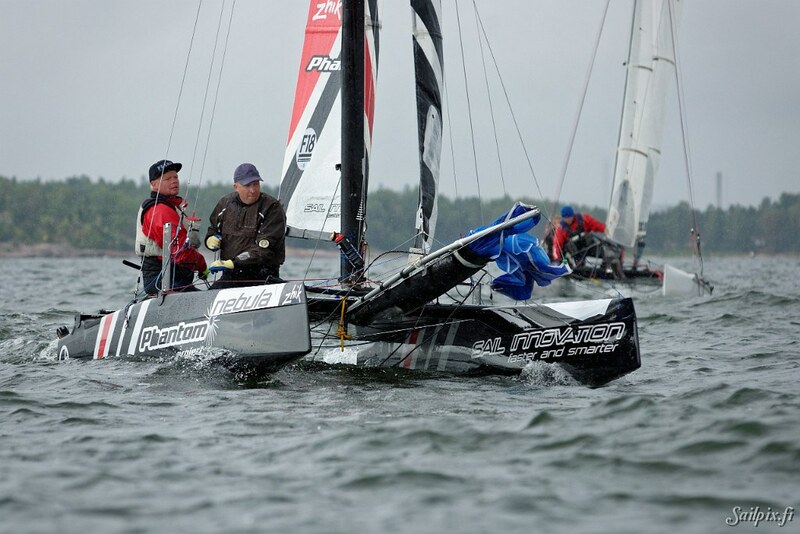 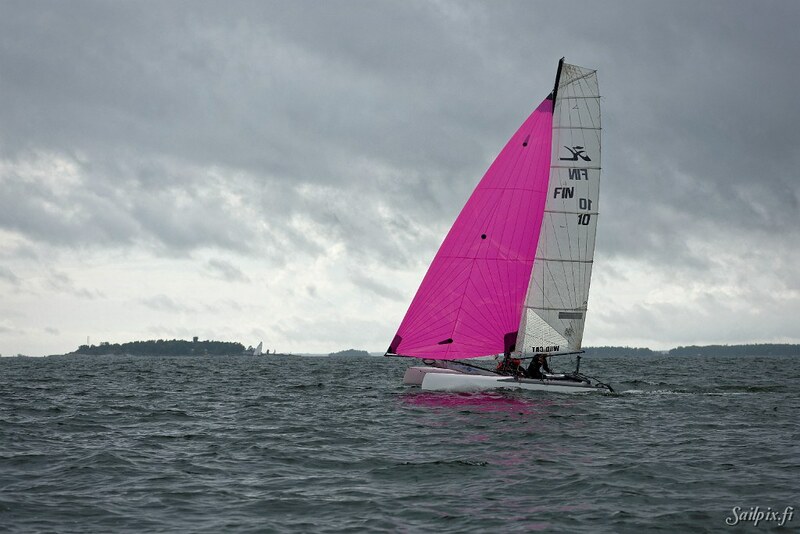 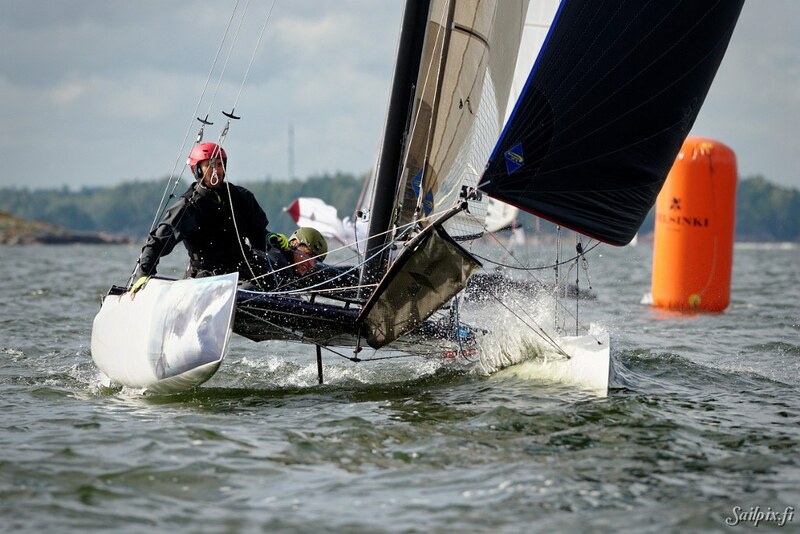 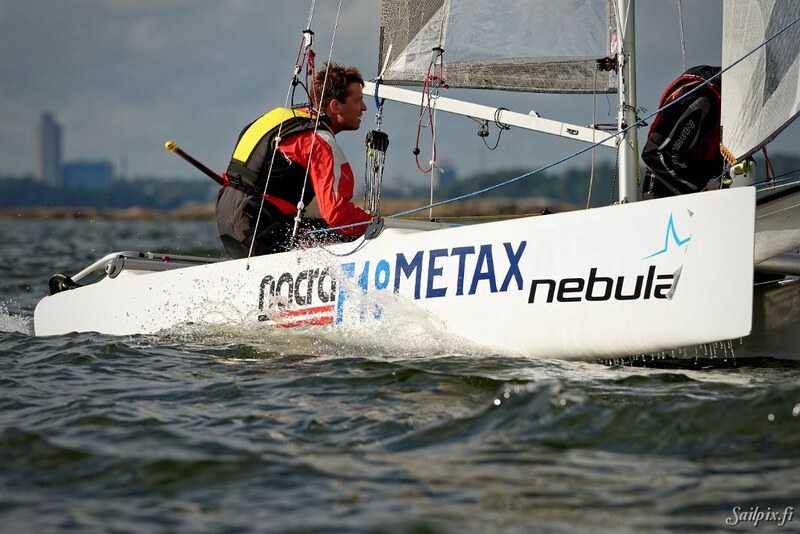 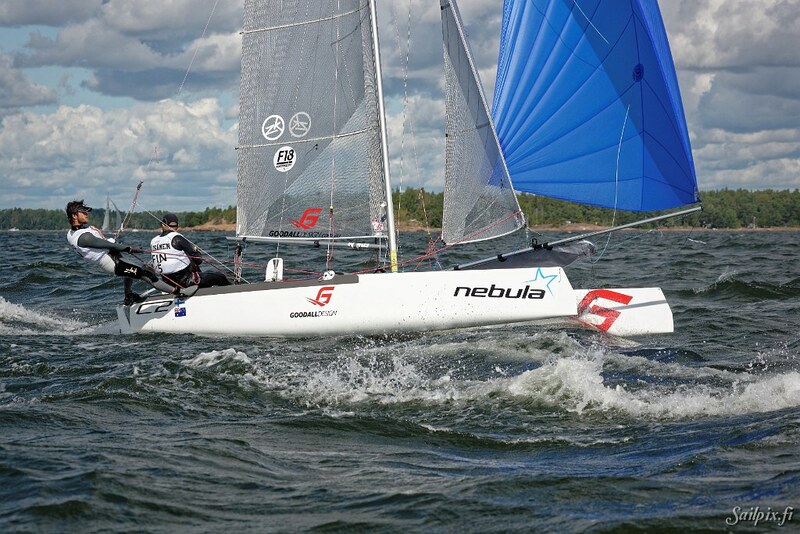 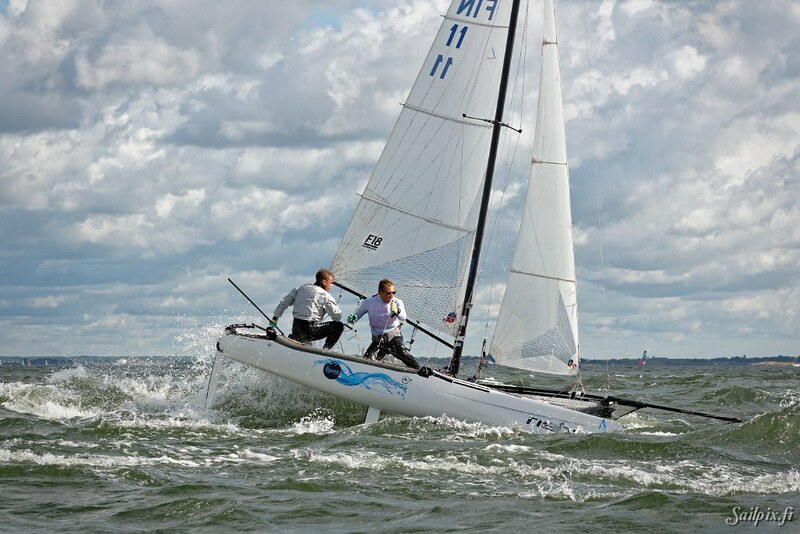 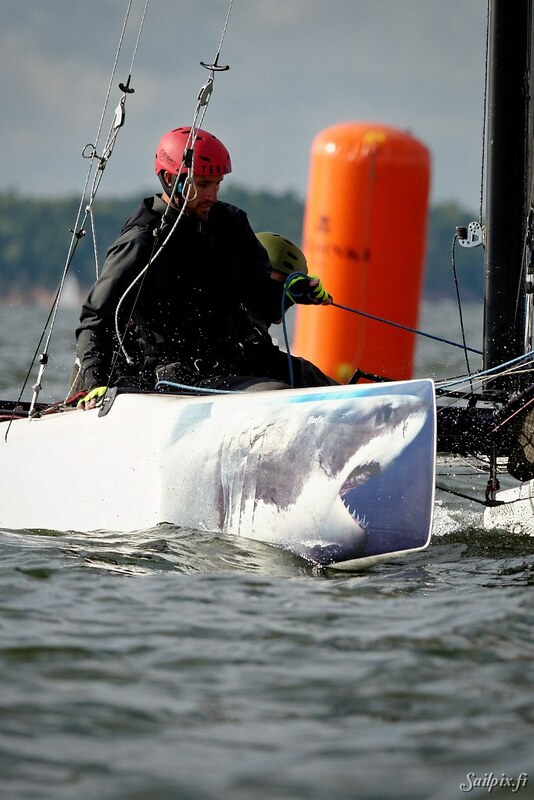 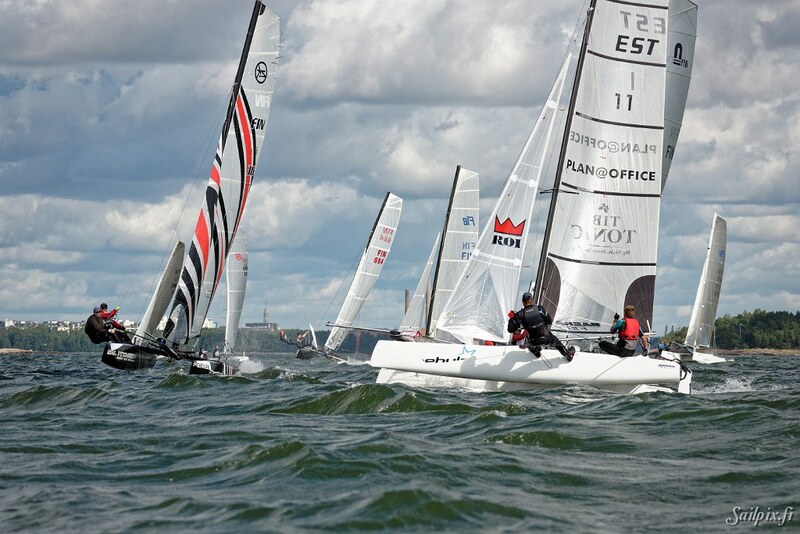 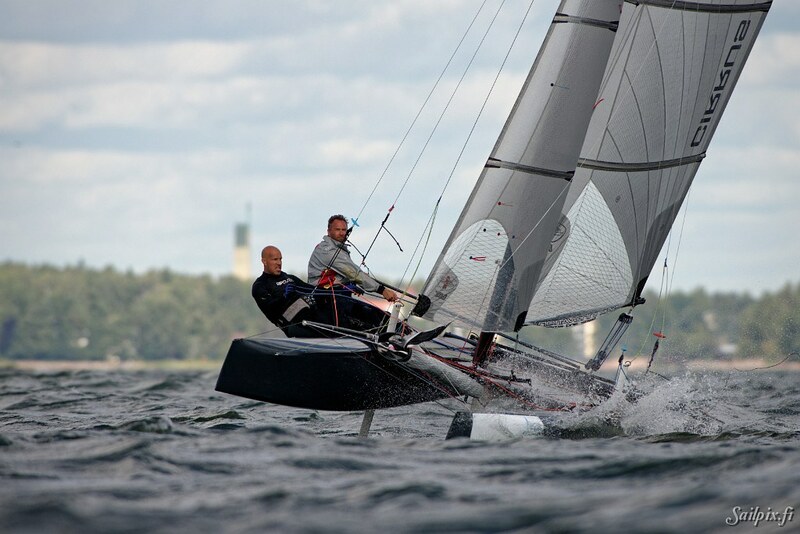 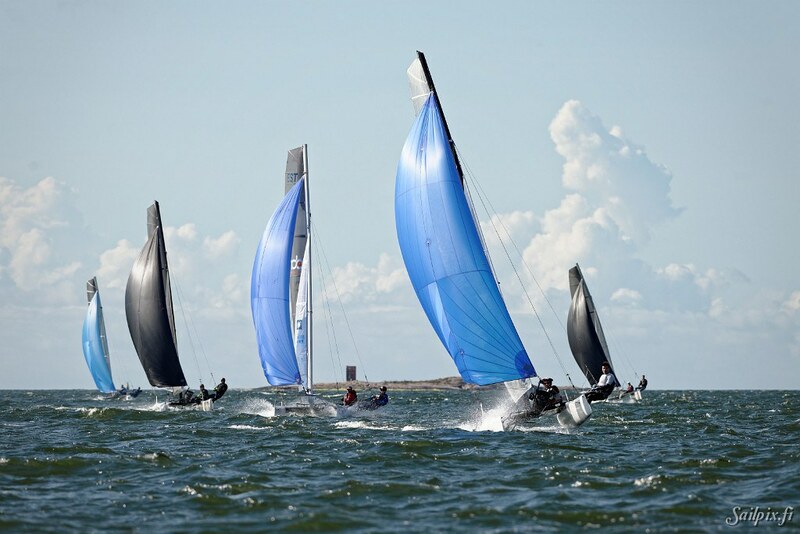 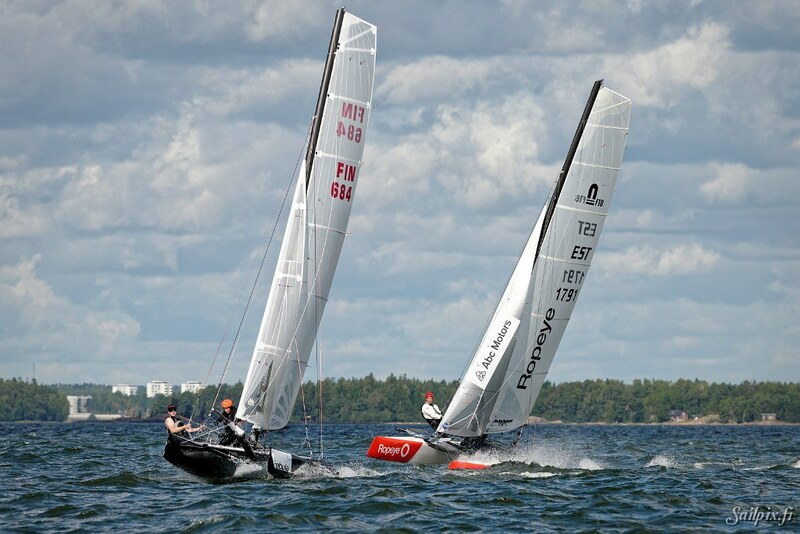 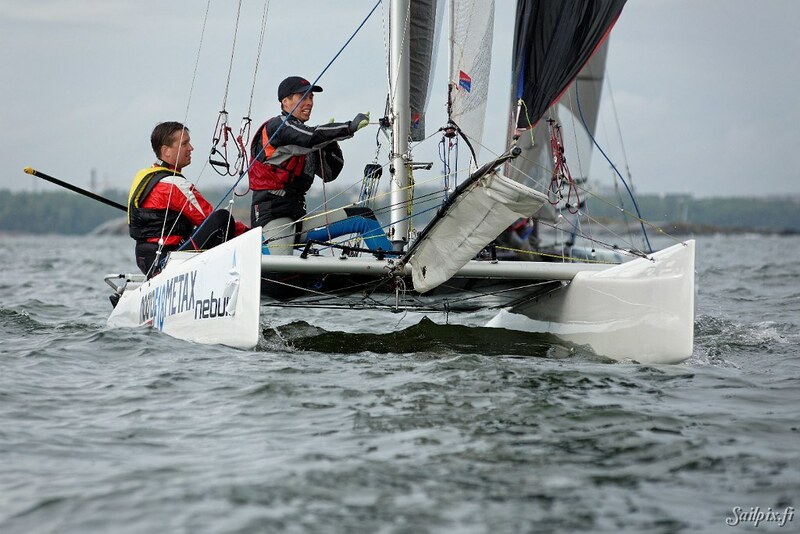 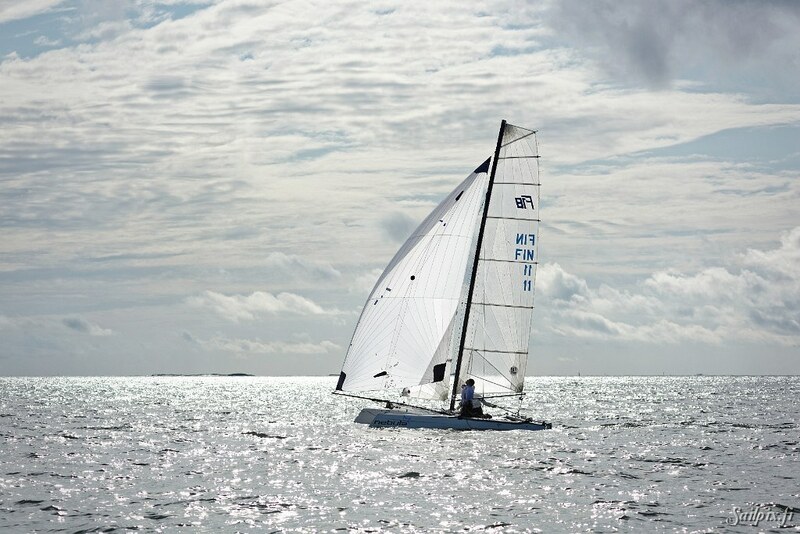 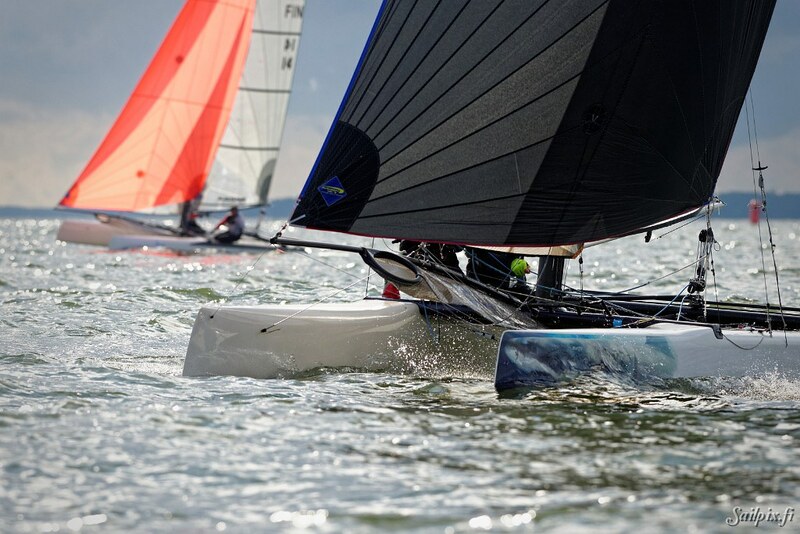 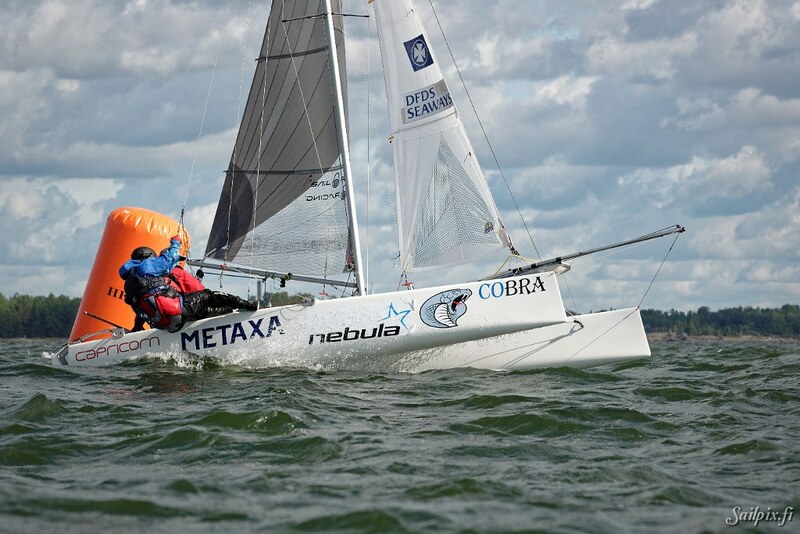 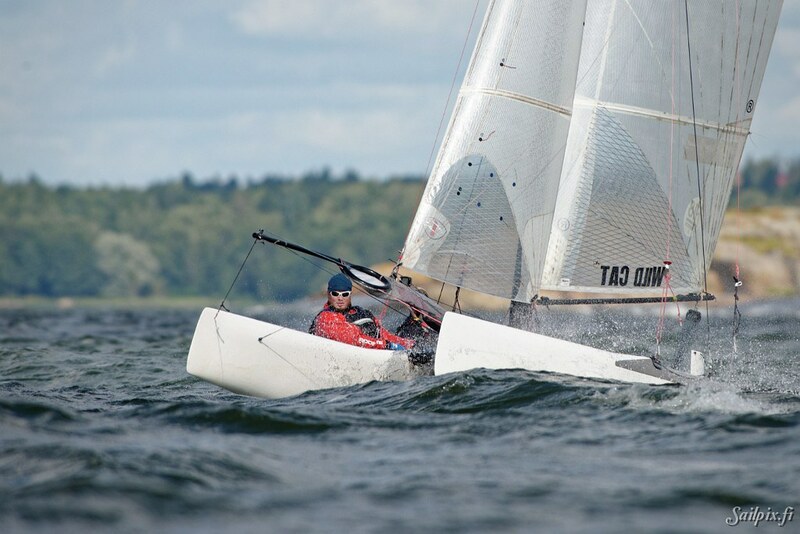 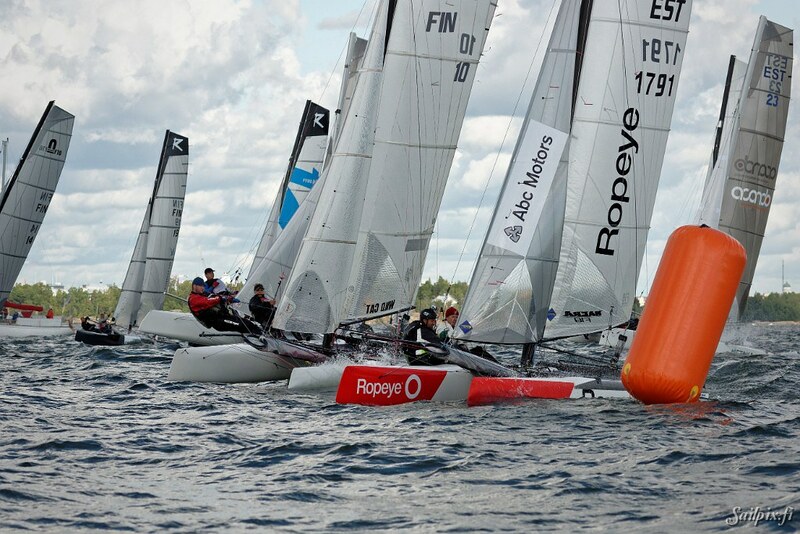 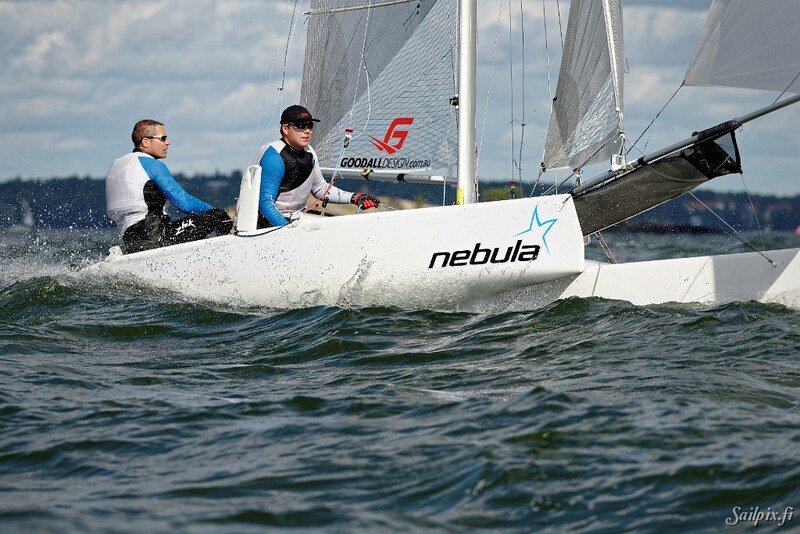 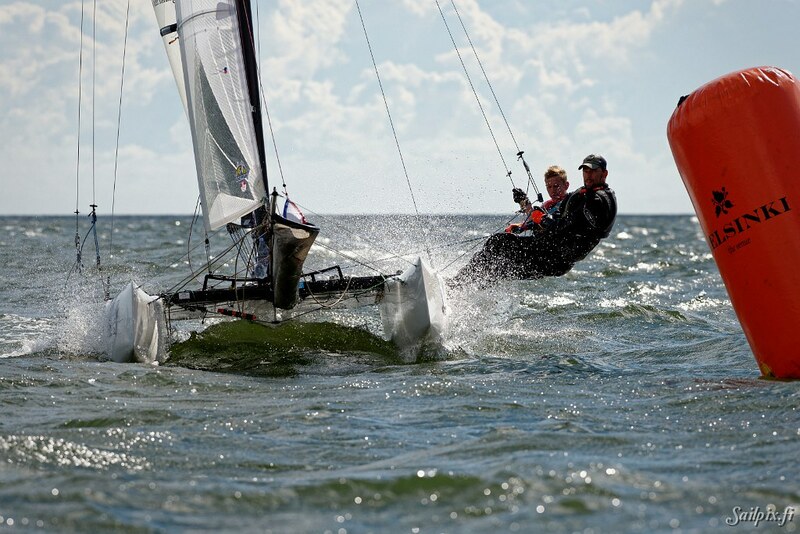 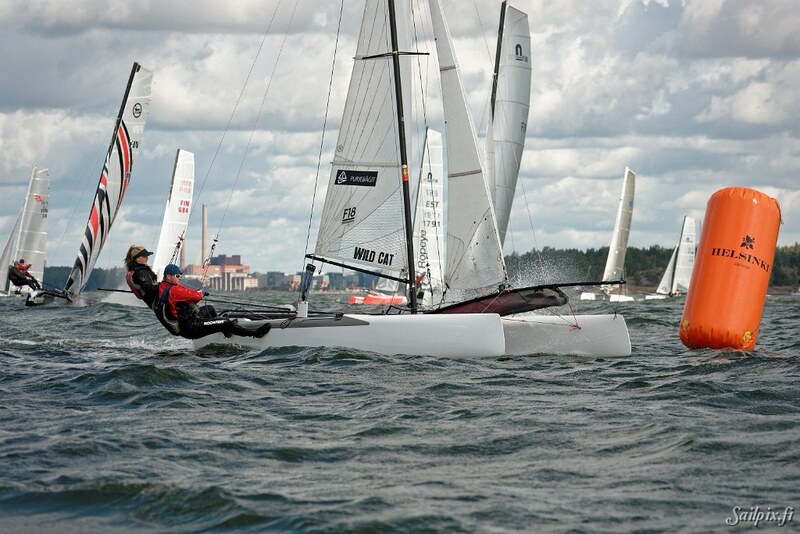 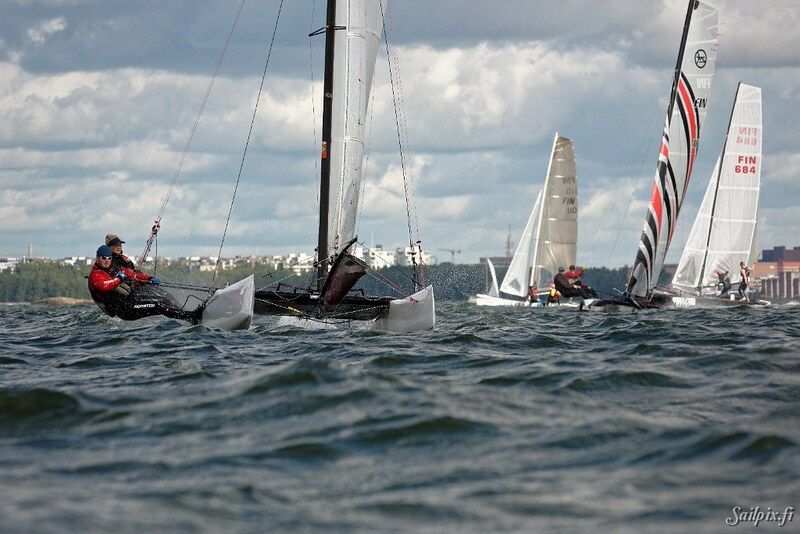 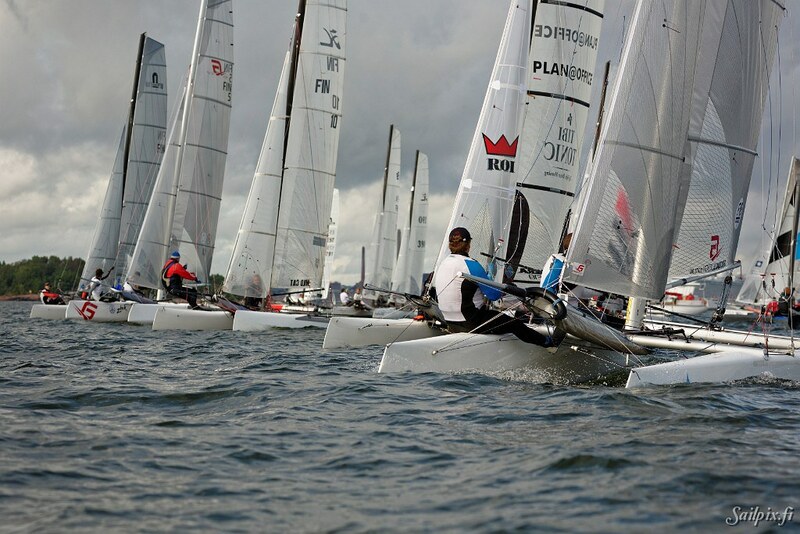 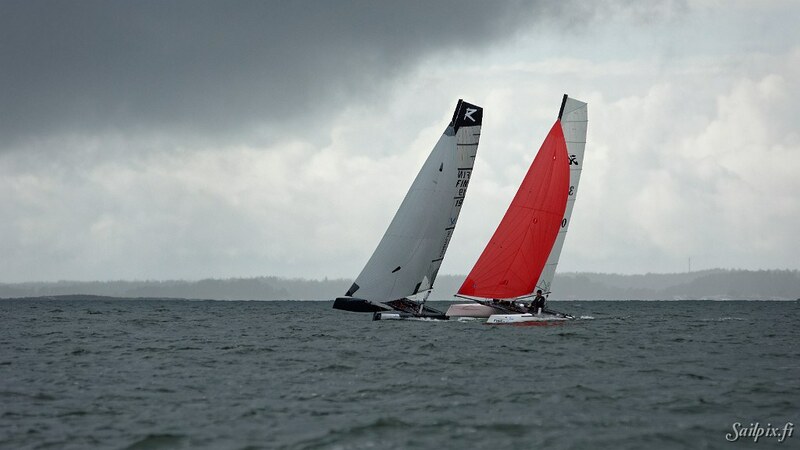 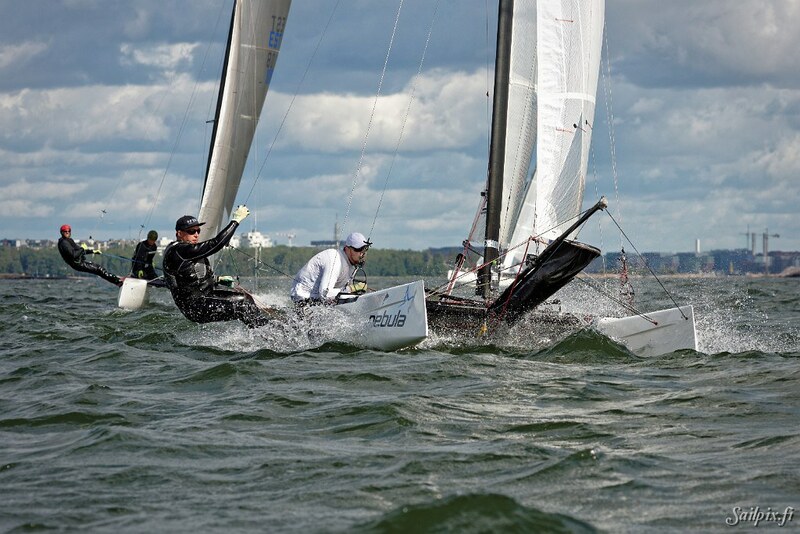 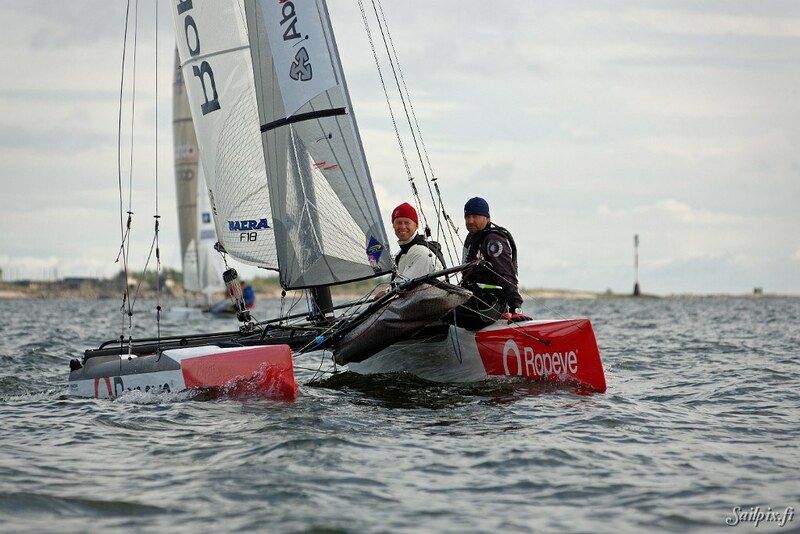 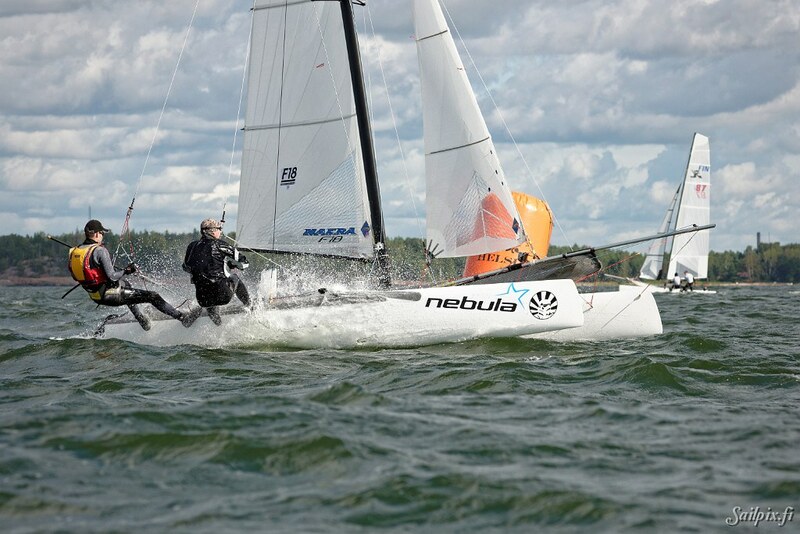 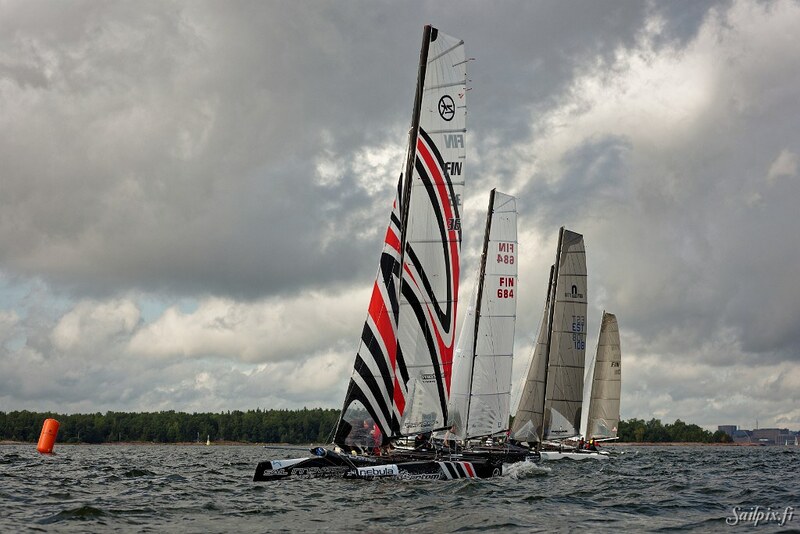 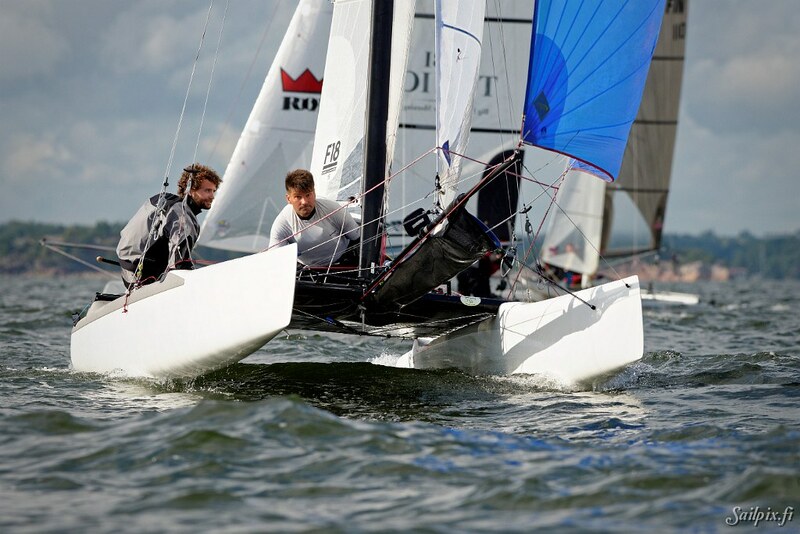 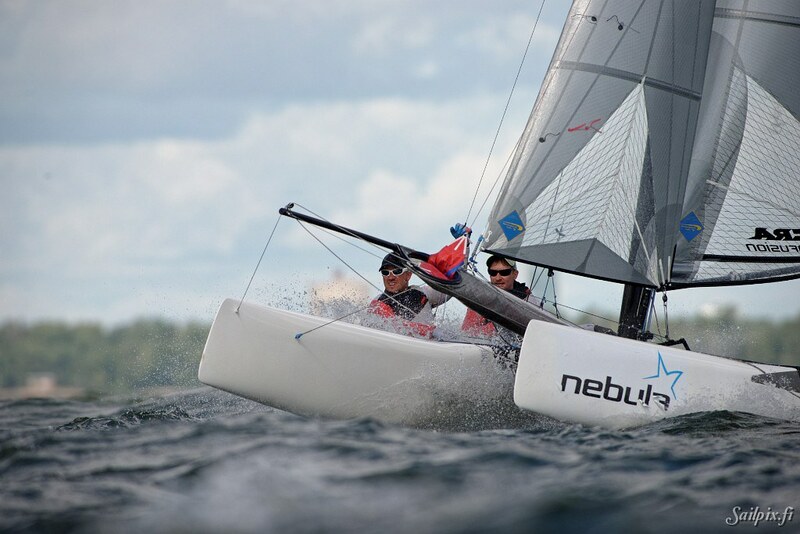 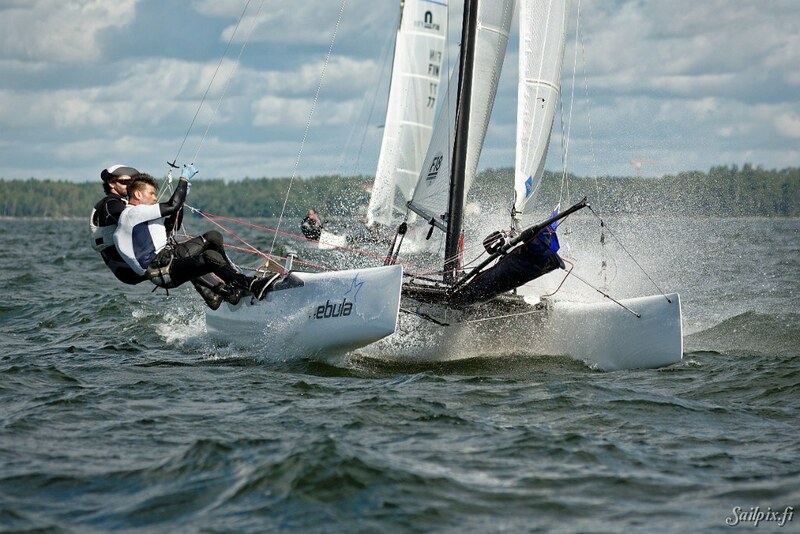 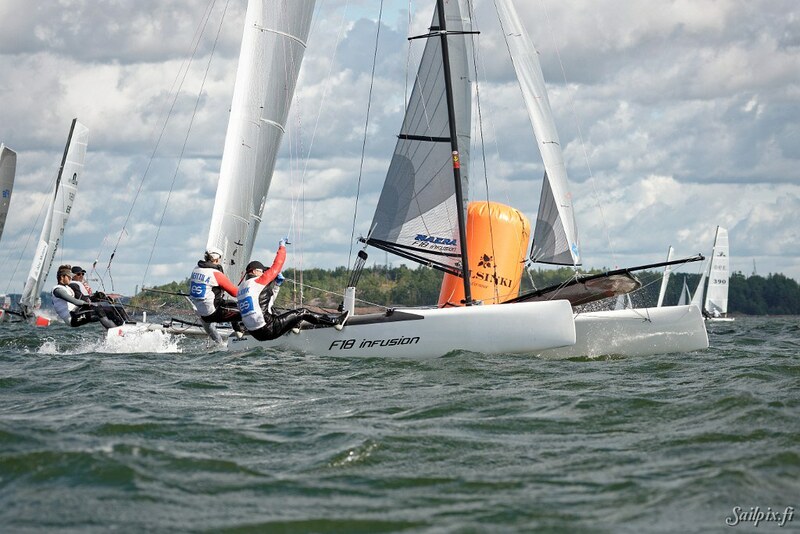 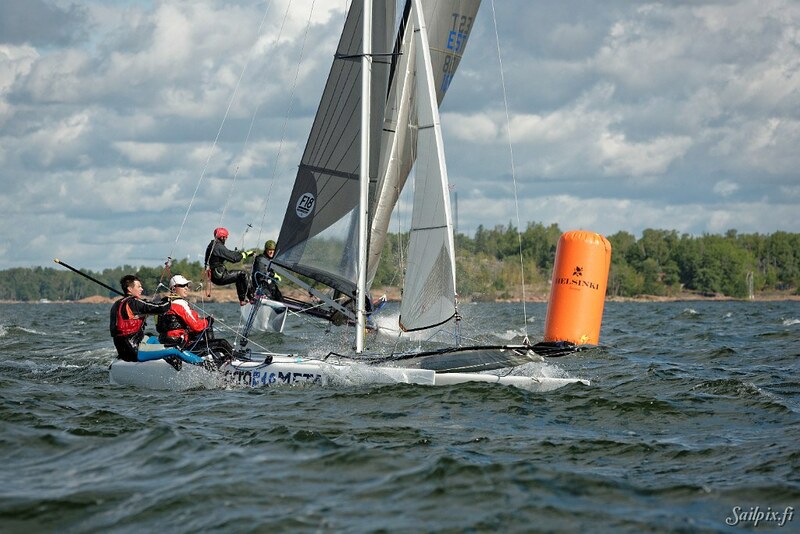 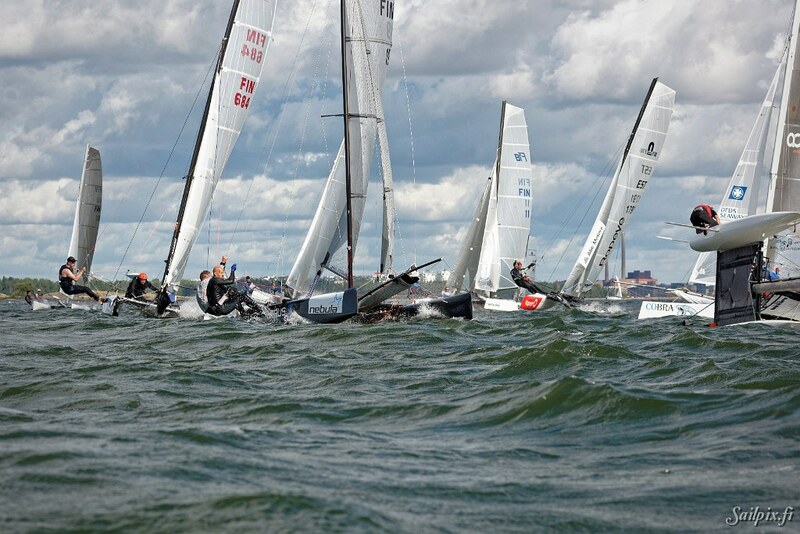 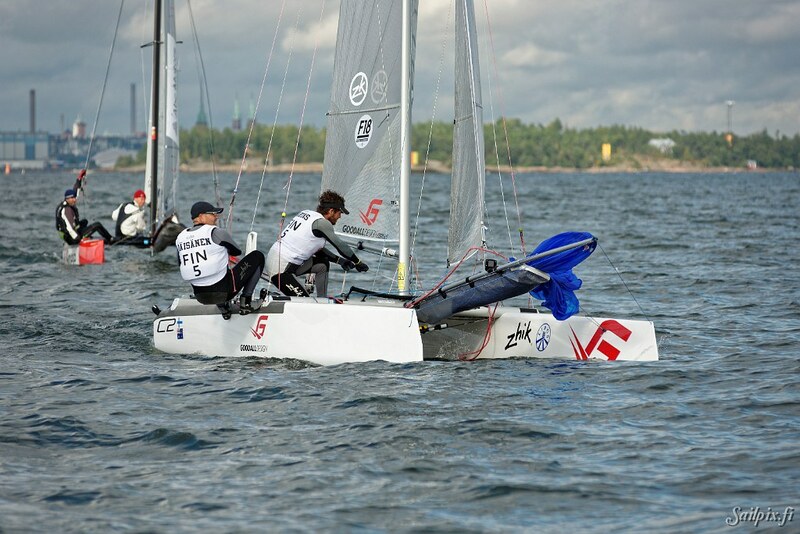 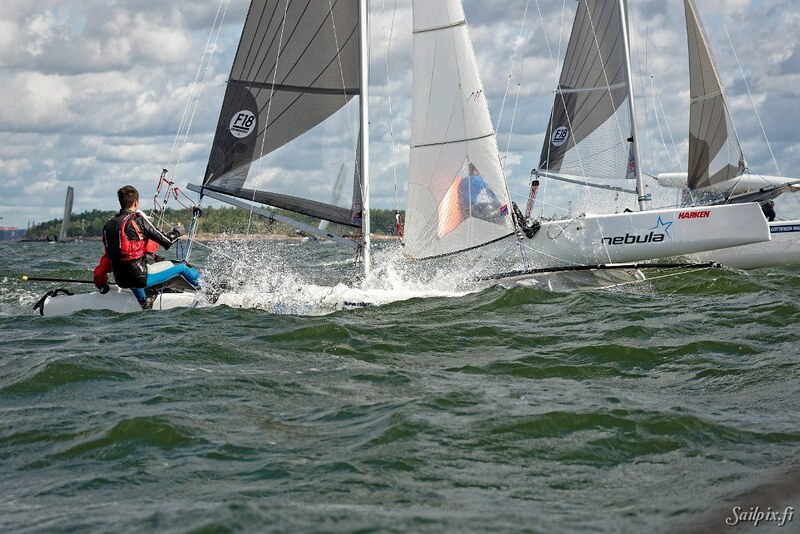 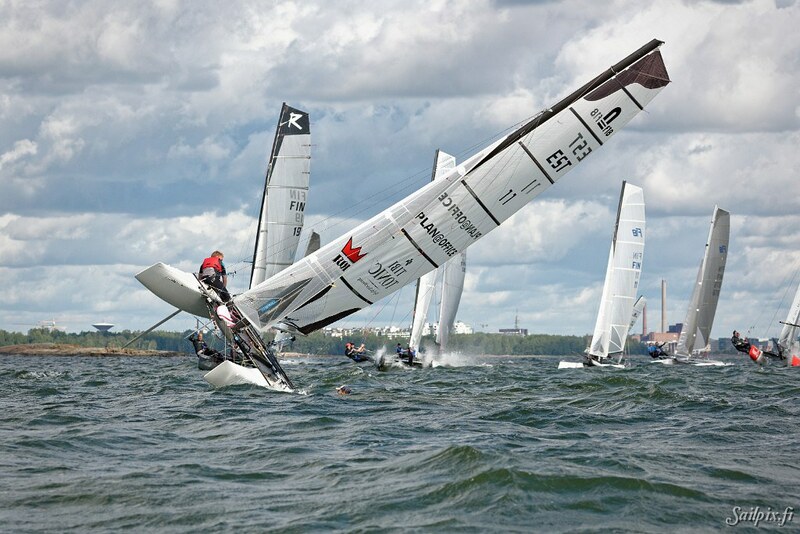 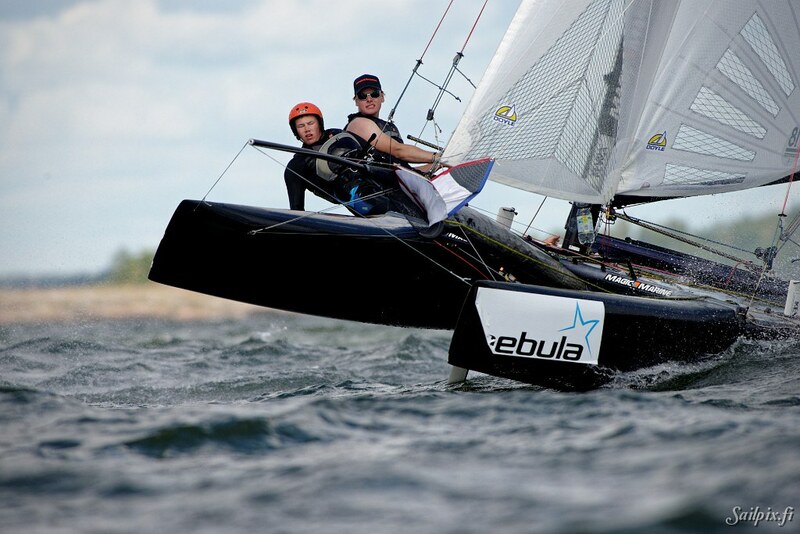 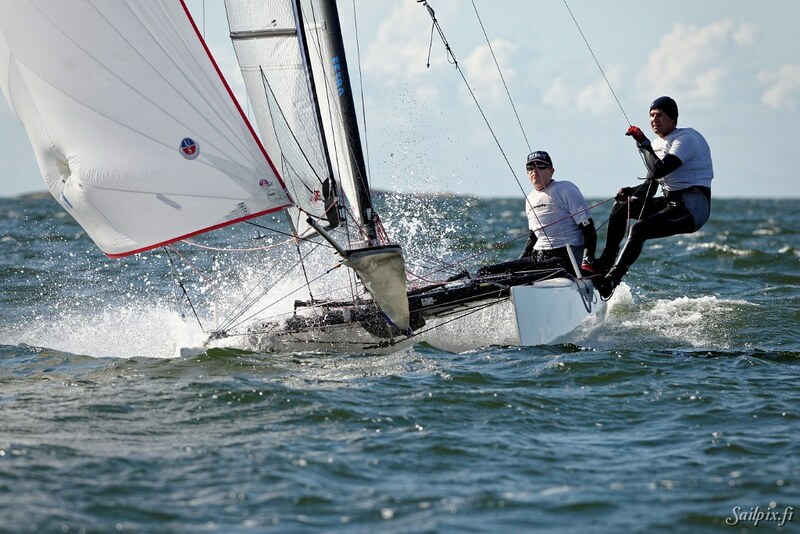 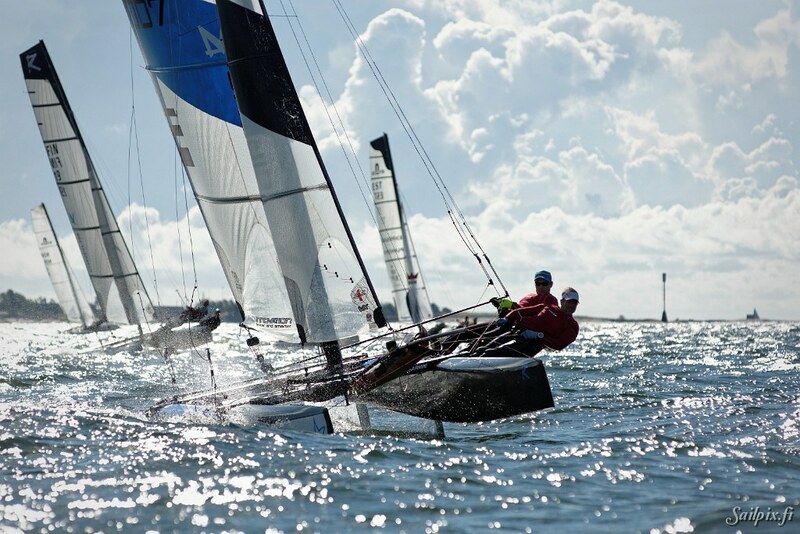 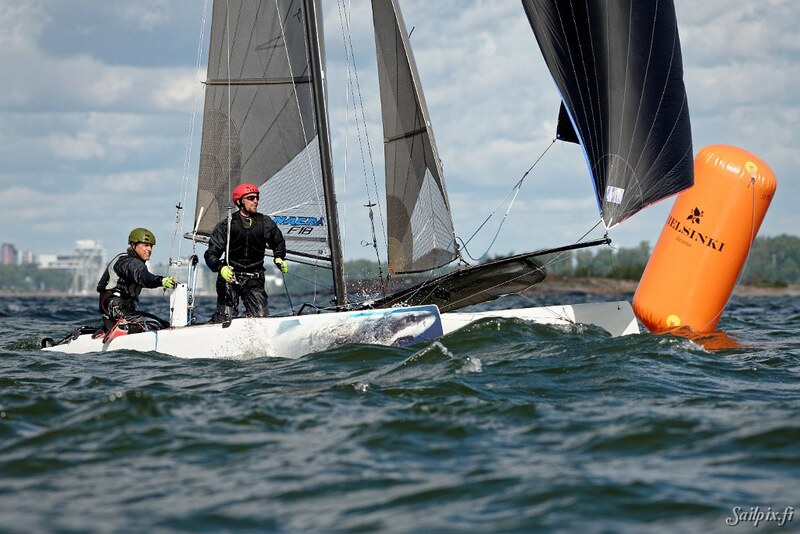 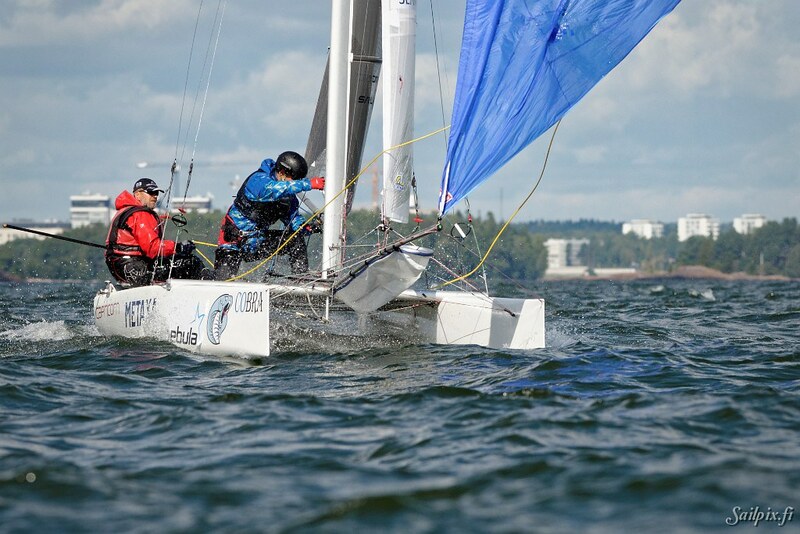 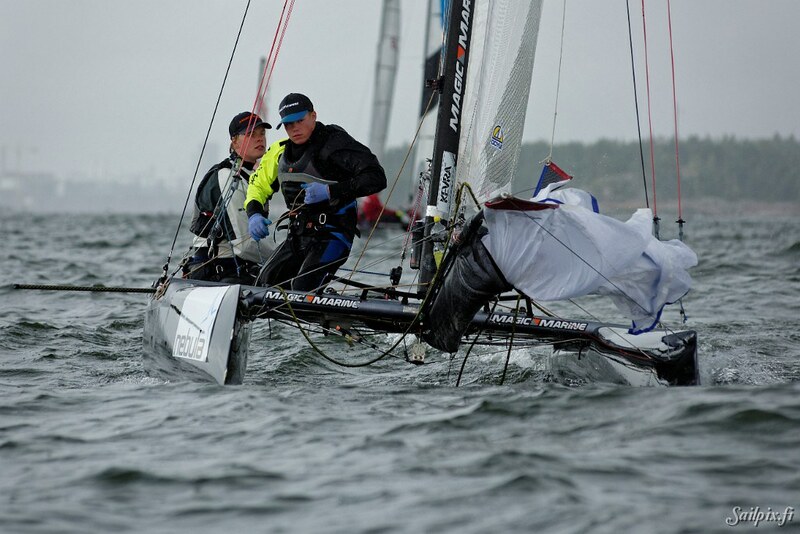 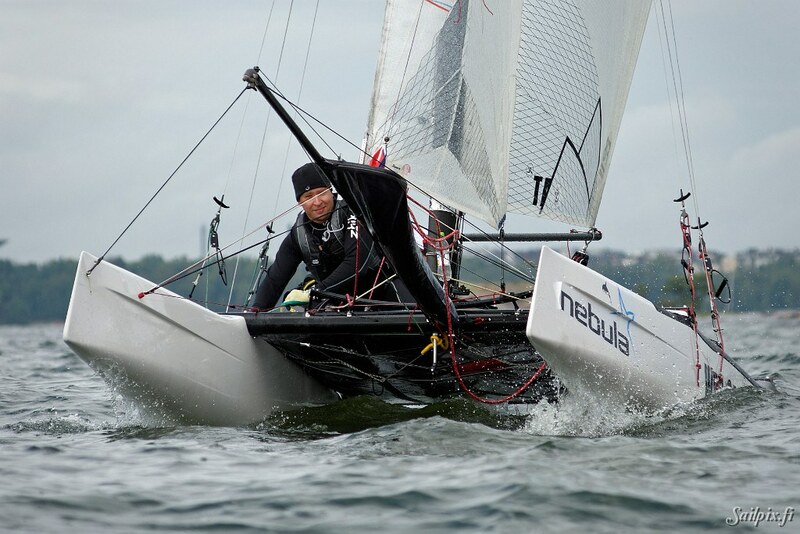 Formula 18 catamarans Finnish Championships organized by Suomalainen Pursiseura (SPS). 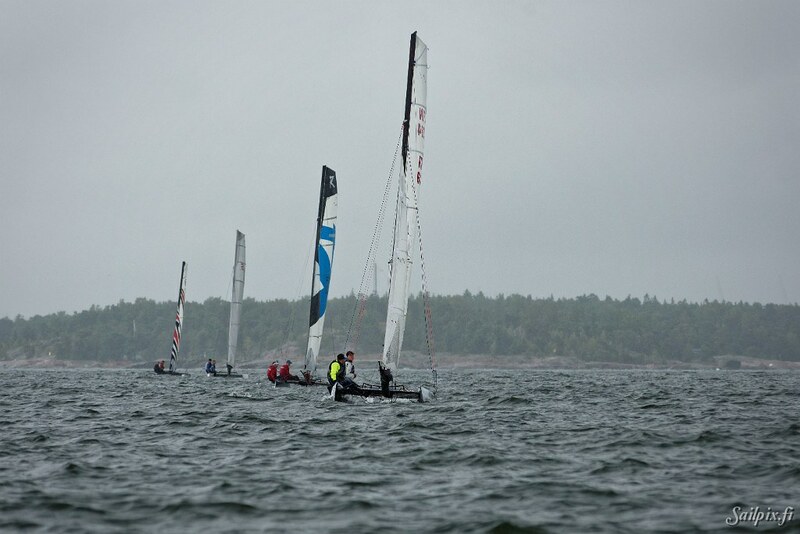 First race day Friday was rainy in the morning but late in the afternoon the sun was partly shining. 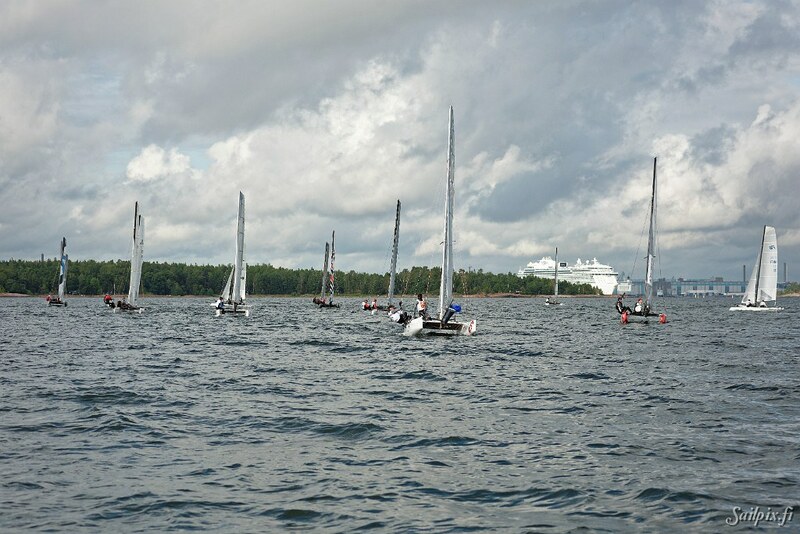 Wind was decreasing, but the SPS race committee managed to organize three races in the varying wind. 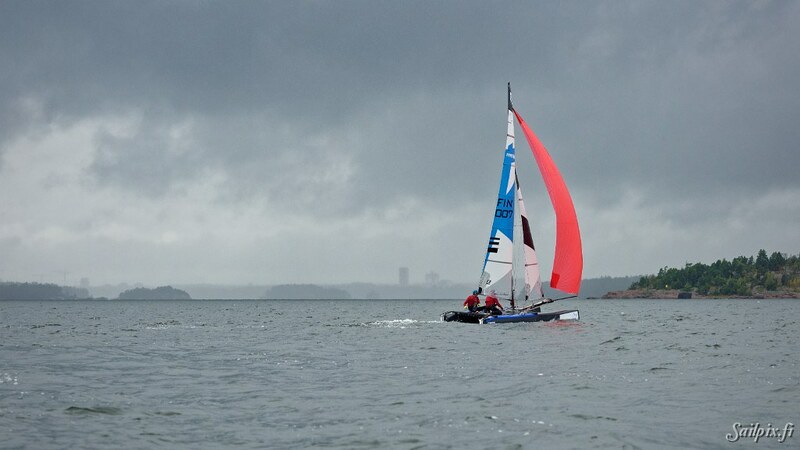 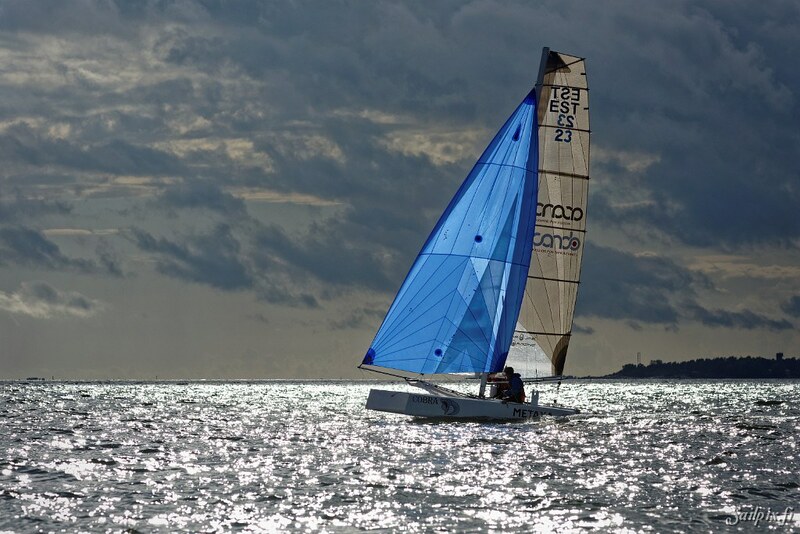 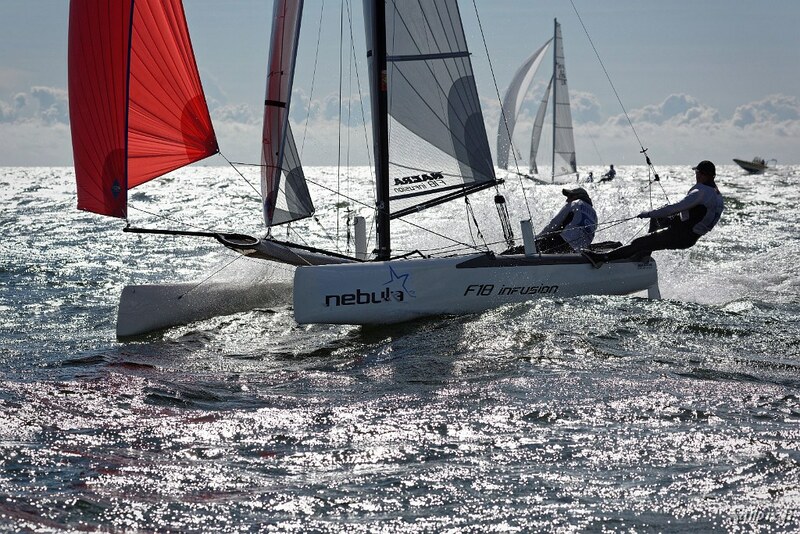 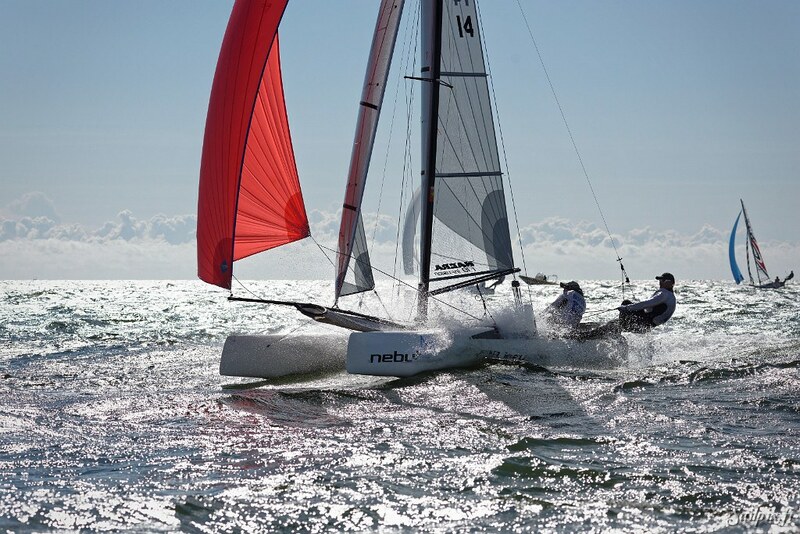 Saturday was a perfect race sailing day with good wind and just some random clouds. 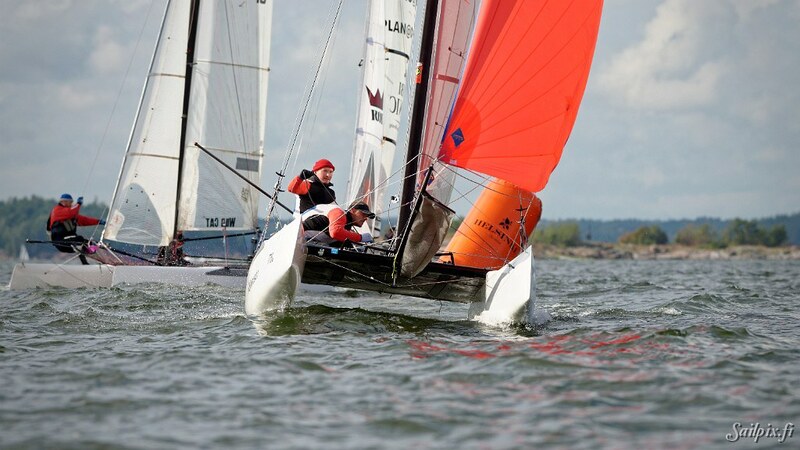 Really sporty racing throughout the day. 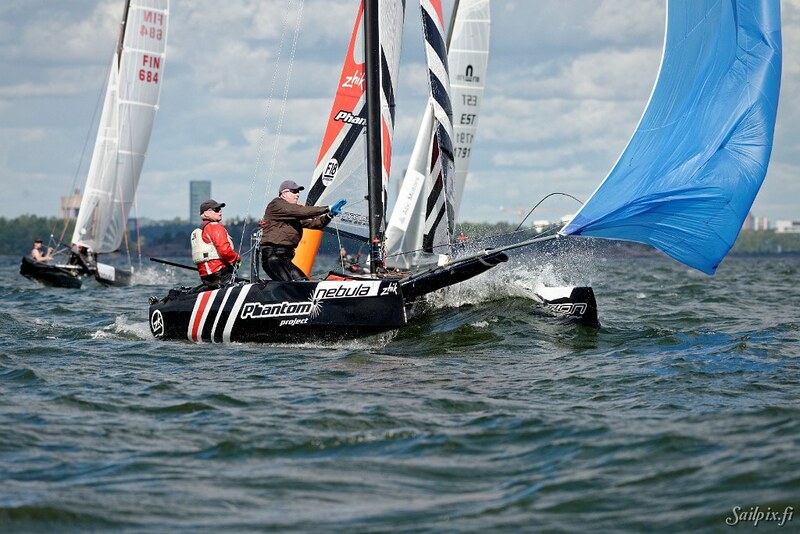 RESULTS from the SPS webpage.